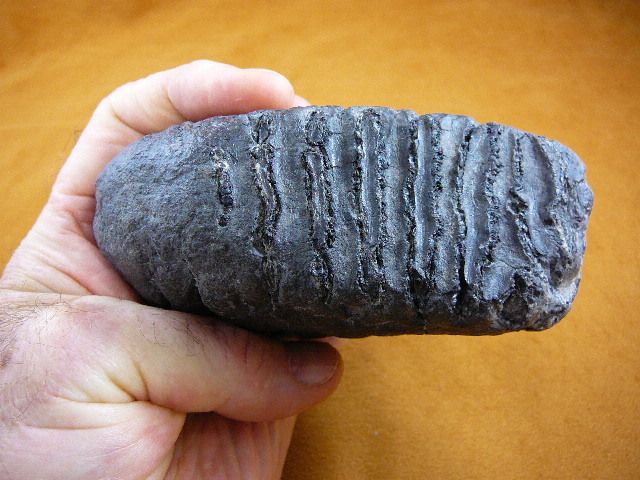 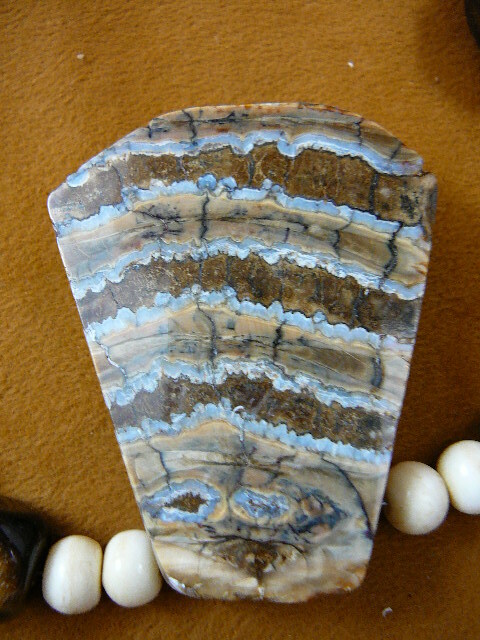 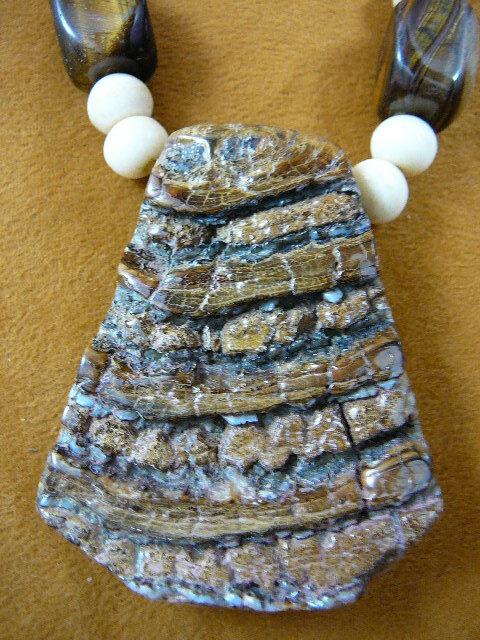 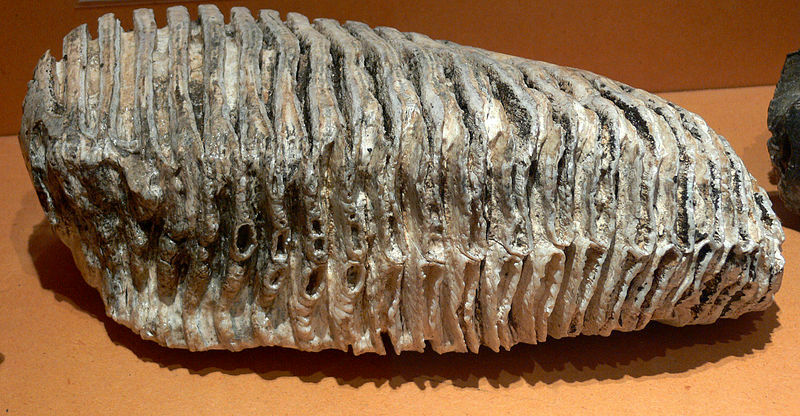 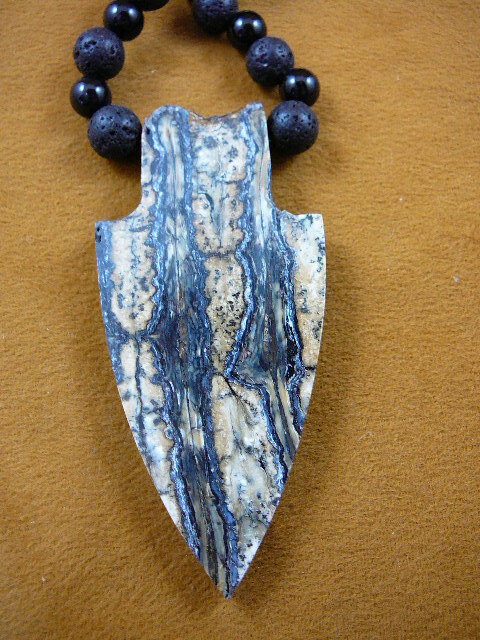 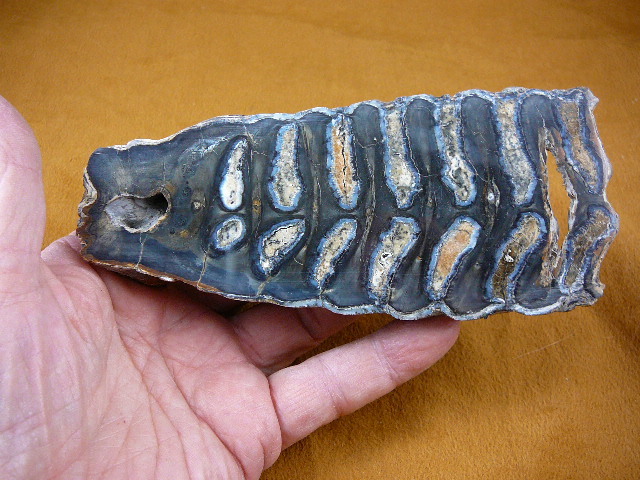 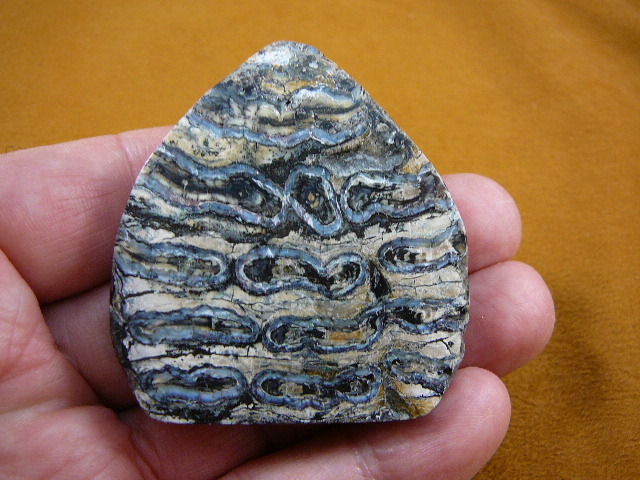 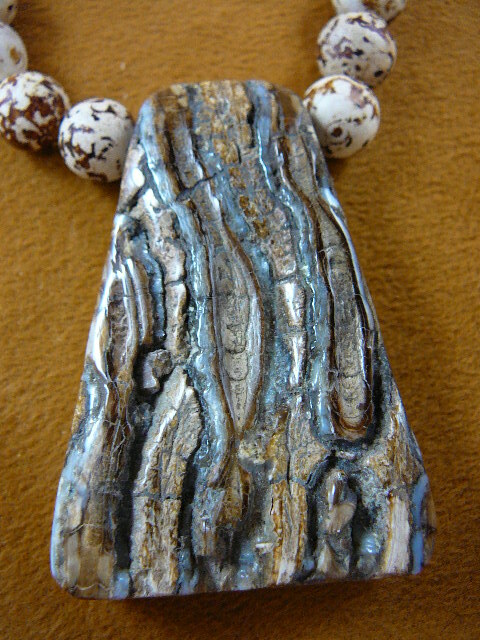 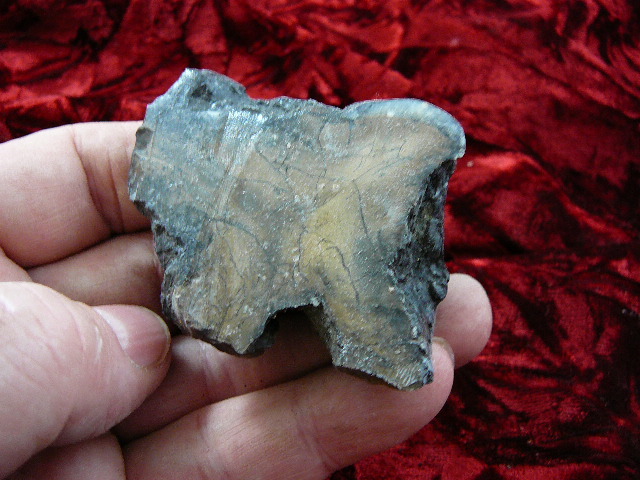 From Siberia, Russia; Ice age; woolly mammoth teeth are a minimum 10,000 years old, technically "mineralized" rather than fossilized as they are not old enough yet to be fossils. 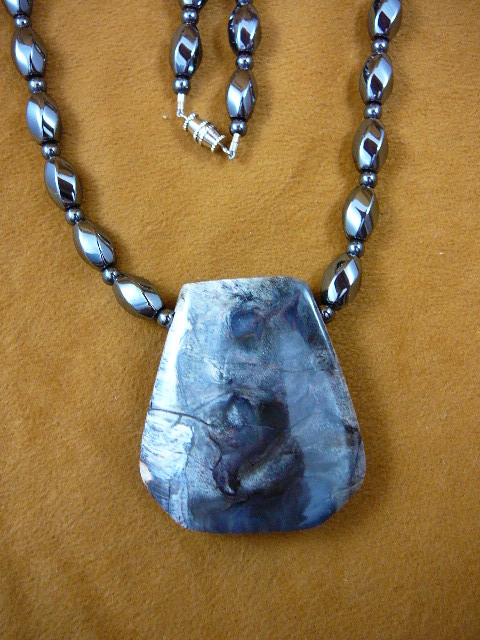 Glenn has designed Conversation Piece necklaces, one of a kind for guy or gal, using state-of-the-art beading wire that is 17 strands, non-kinking wire originally used to tie wire harnesses in the aircraft industry. 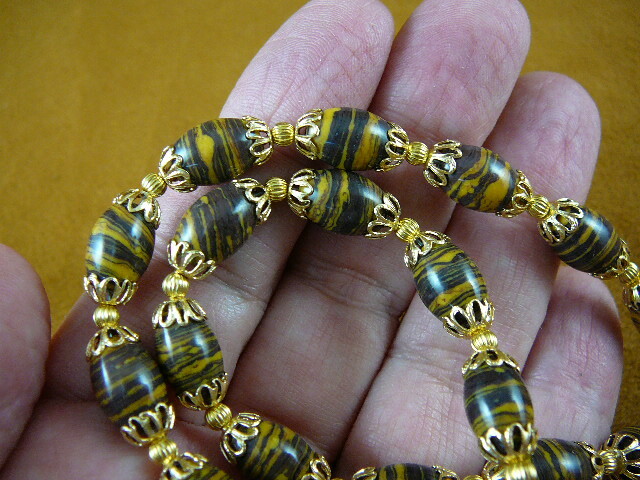 gold tone barrel twist closure. 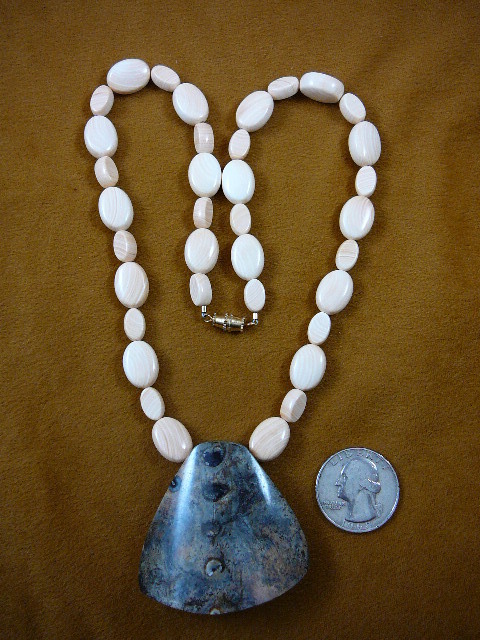 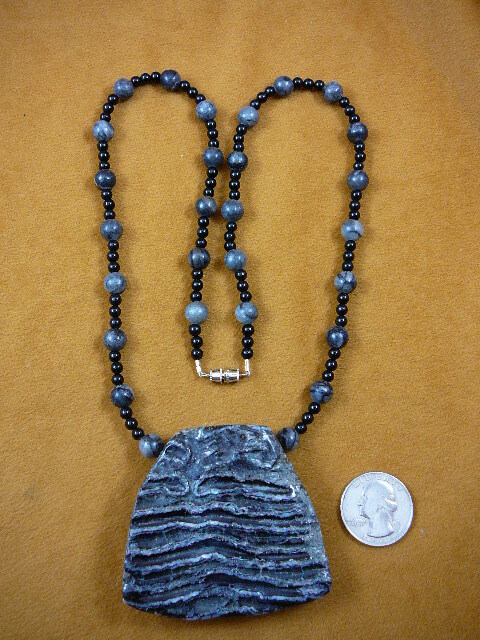 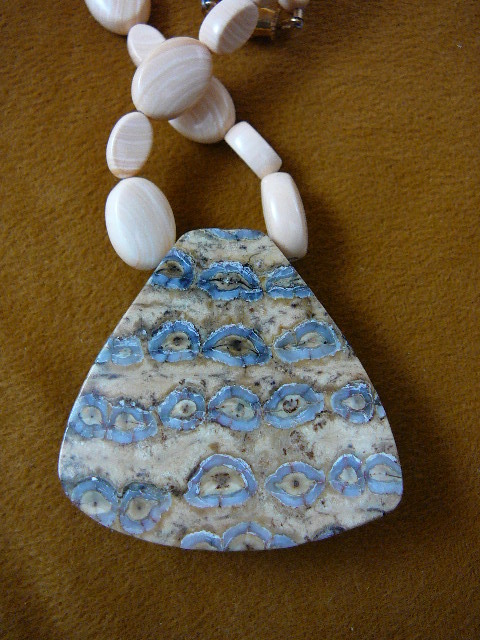 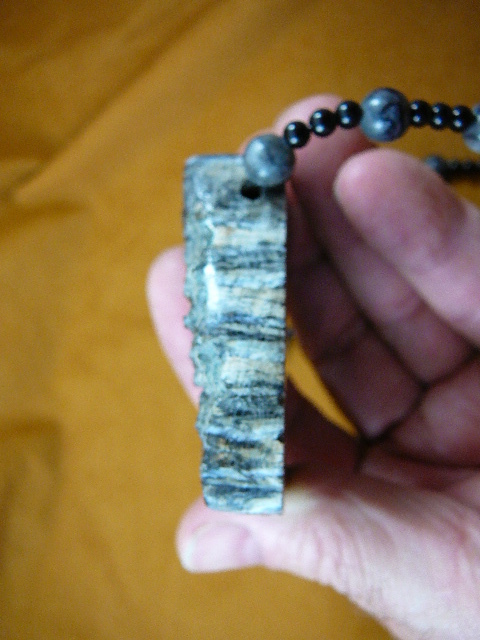 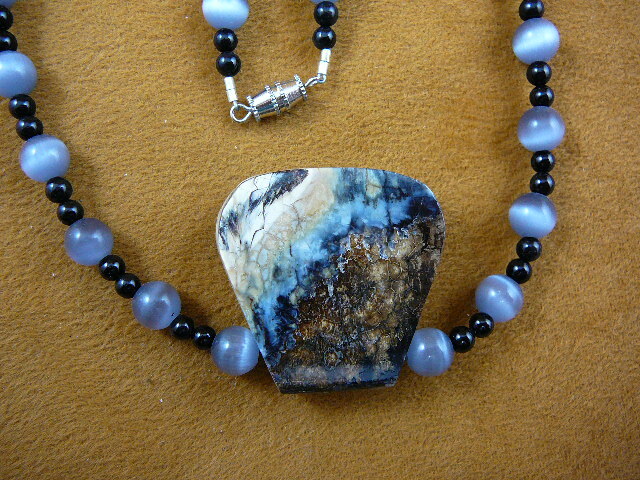 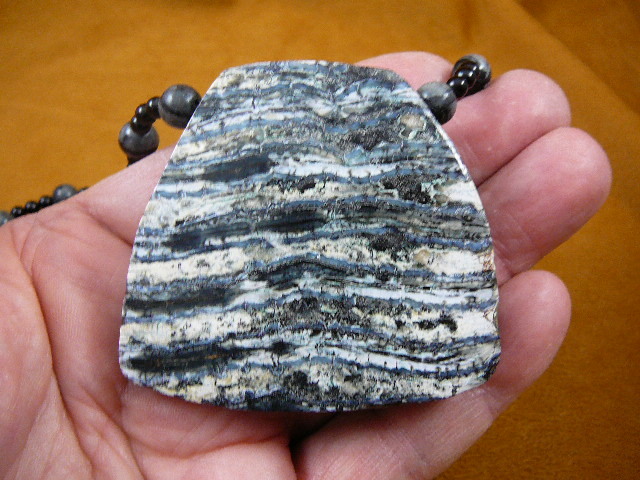 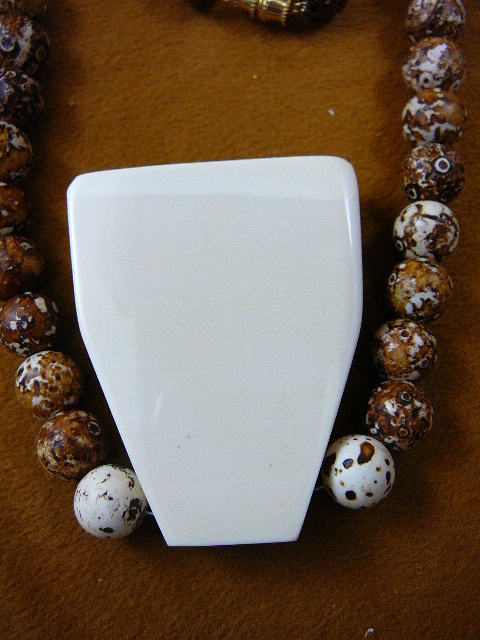 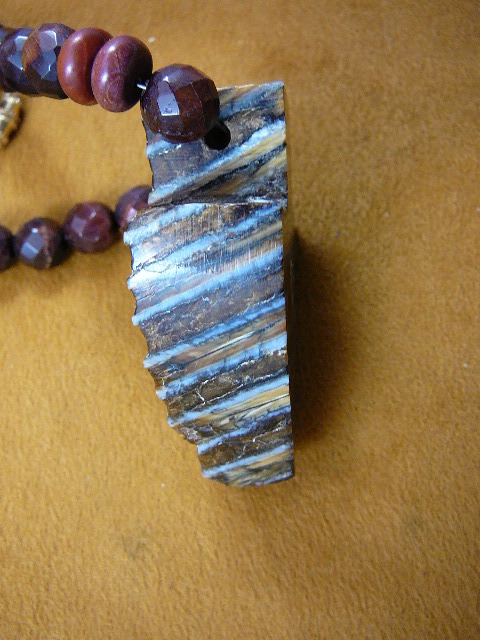 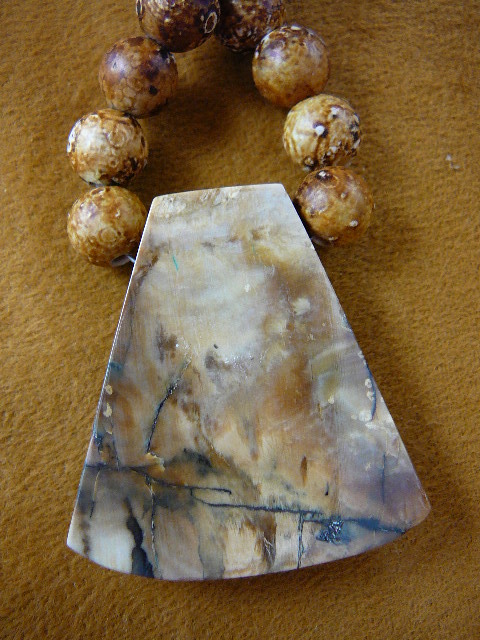 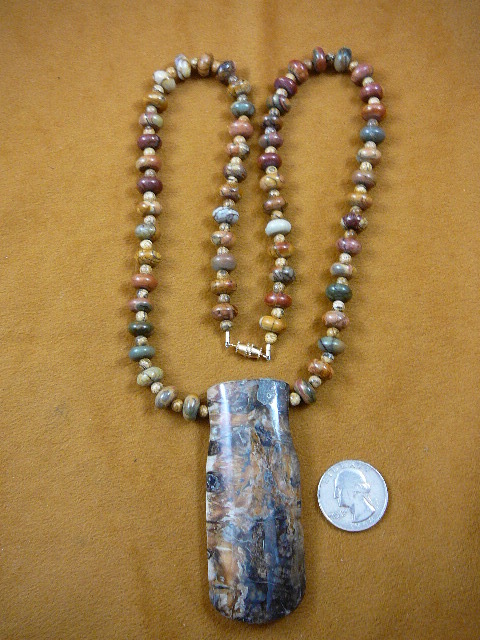 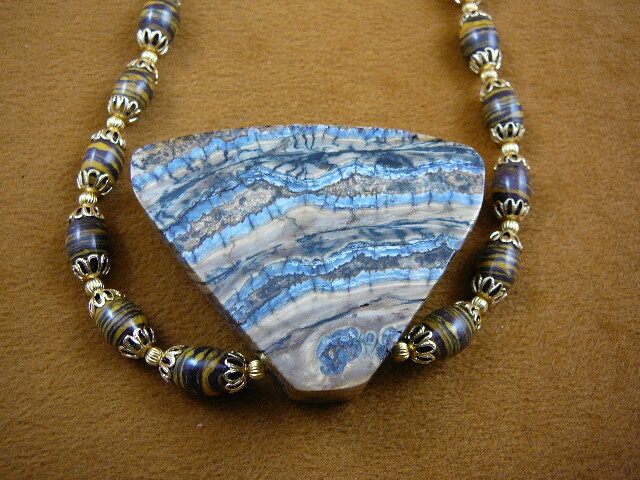 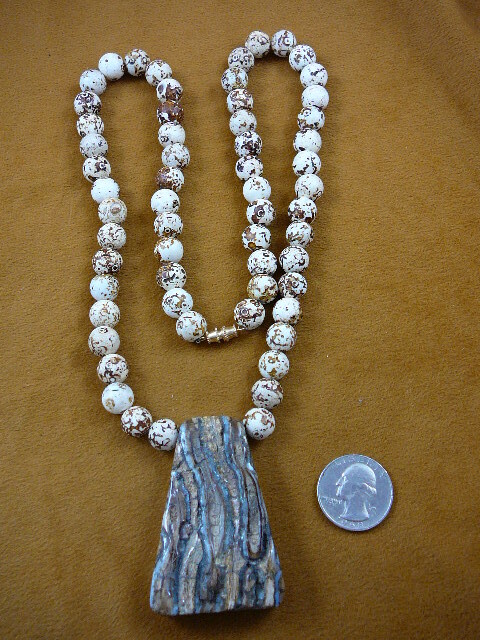 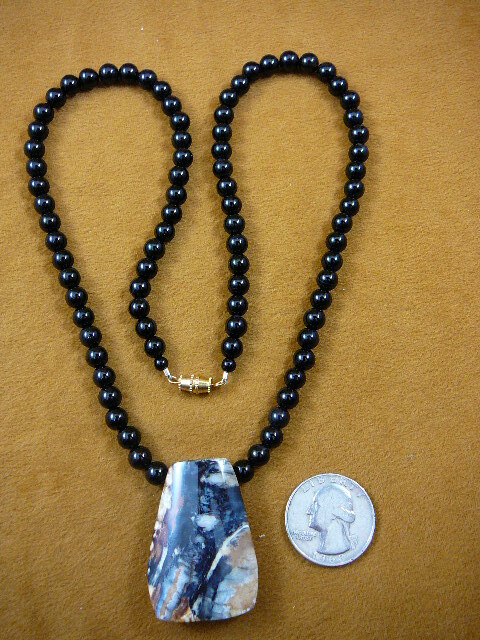 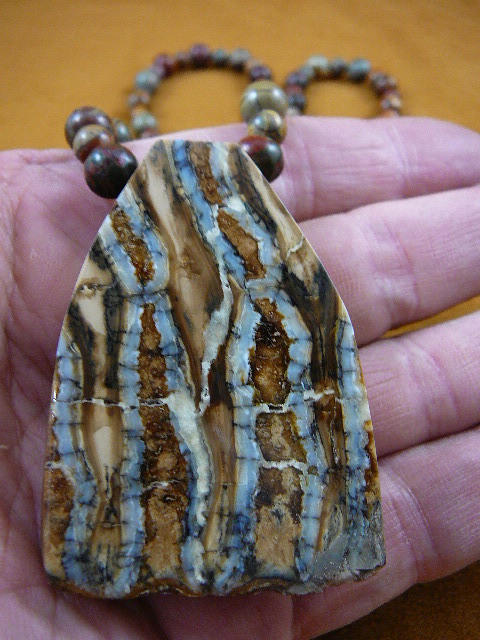 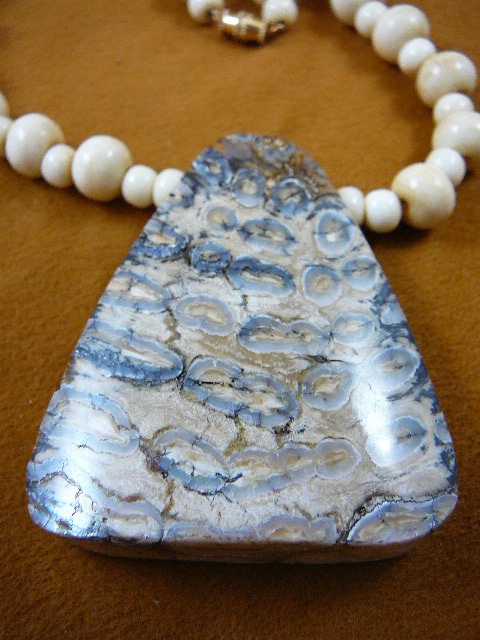 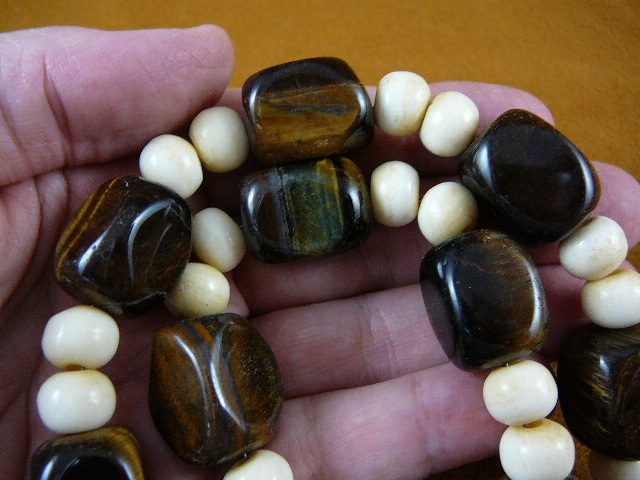 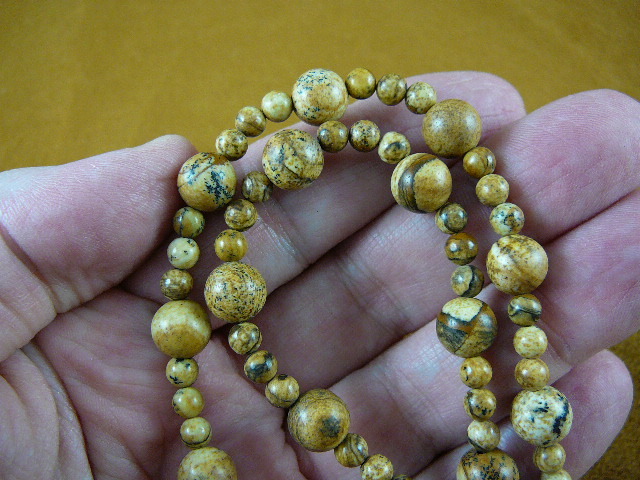 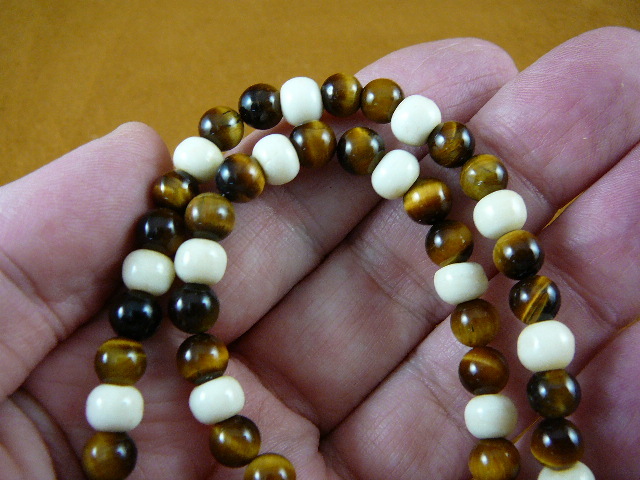 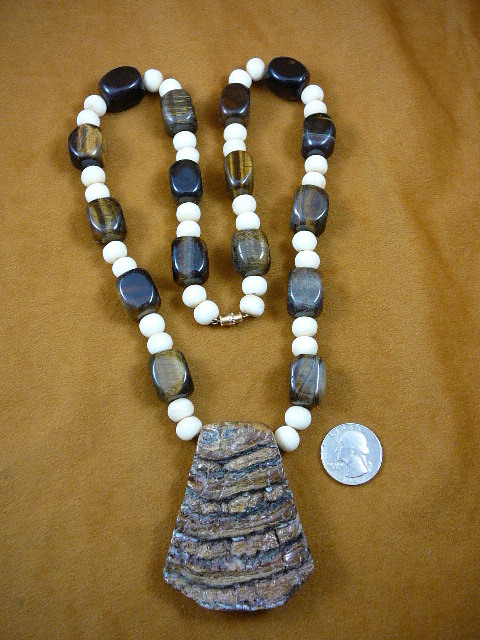 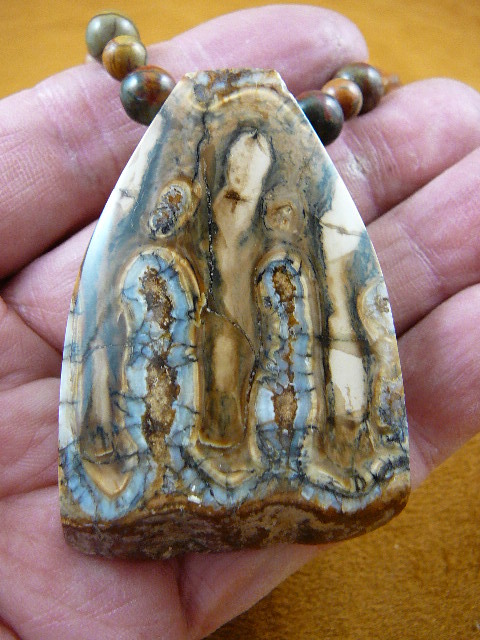 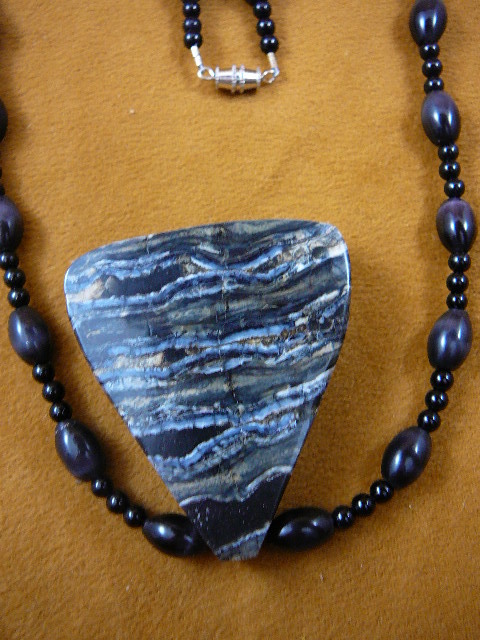 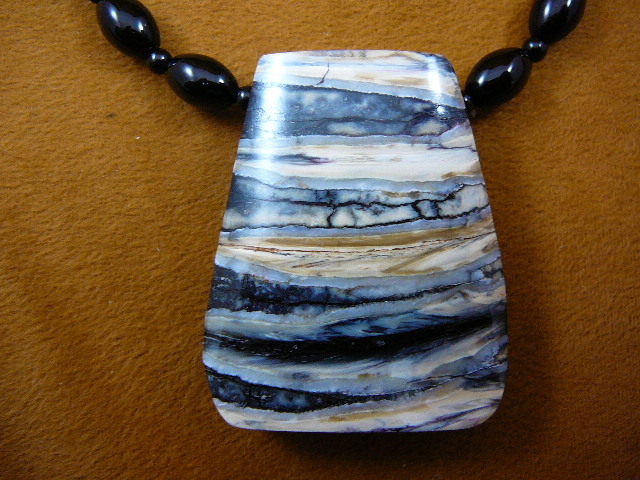 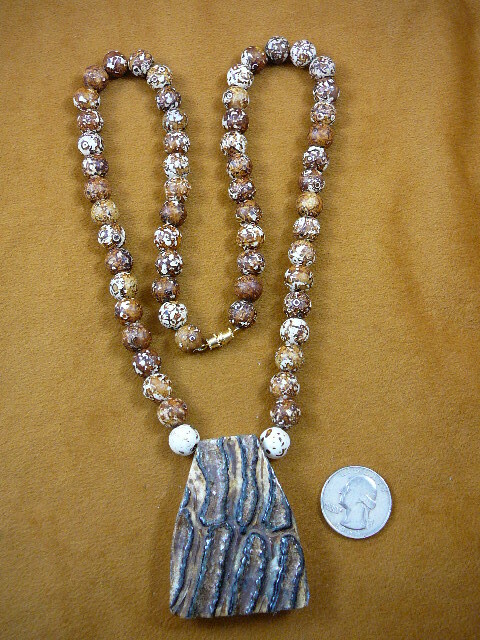 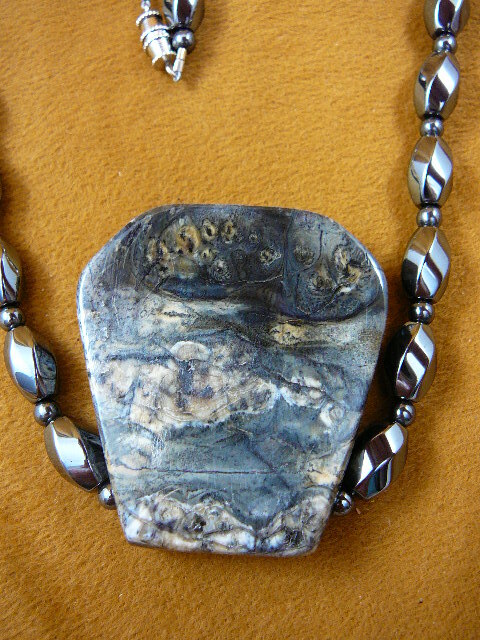 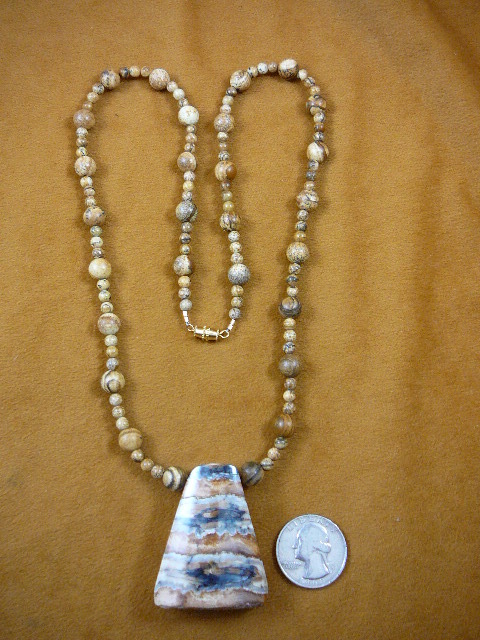 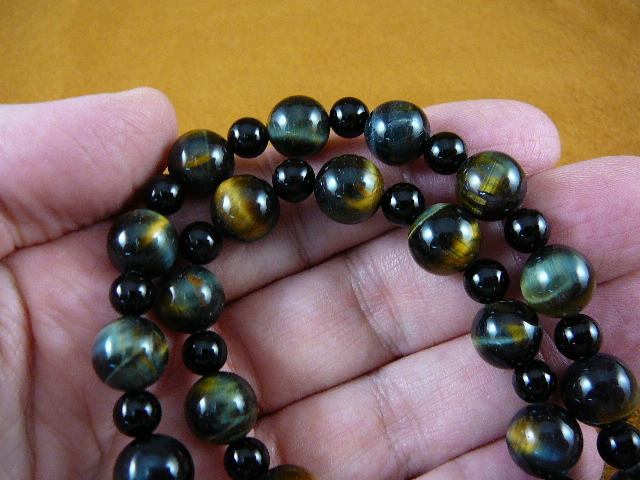 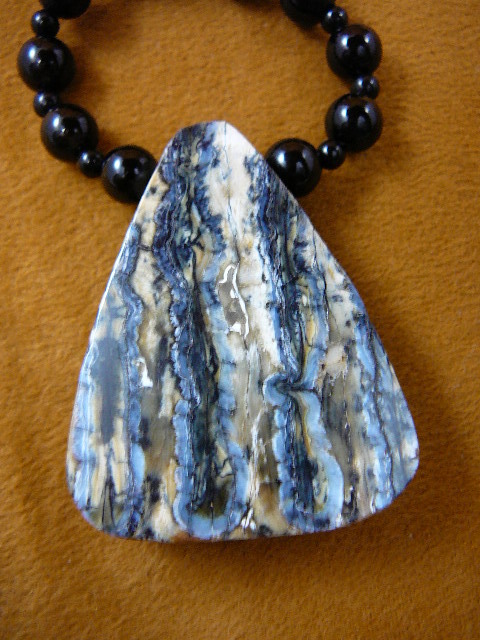 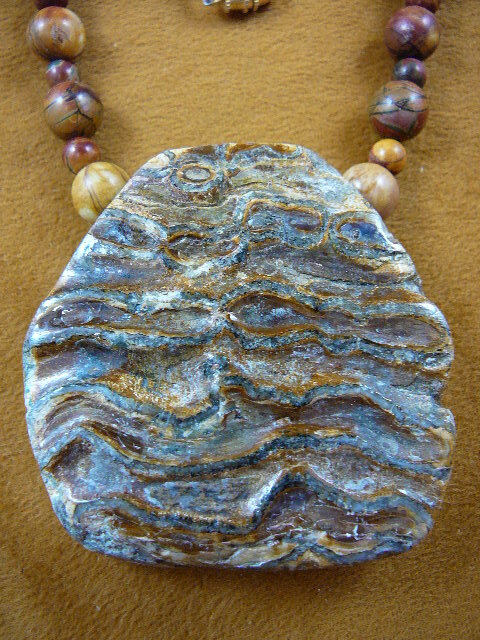 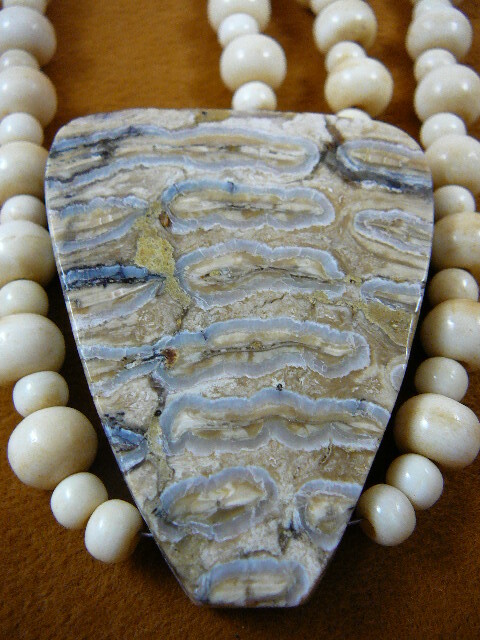 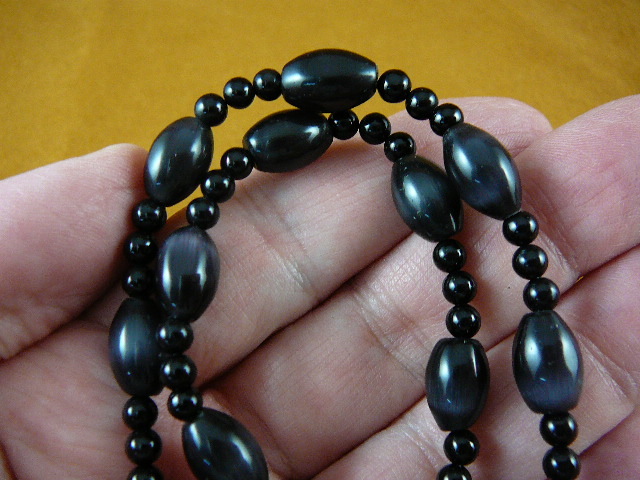 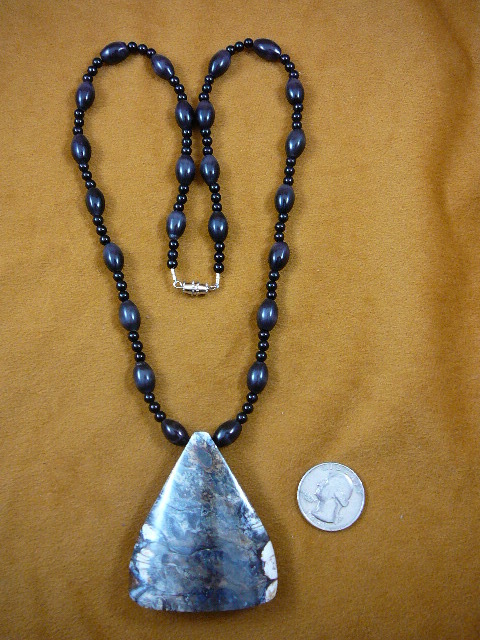 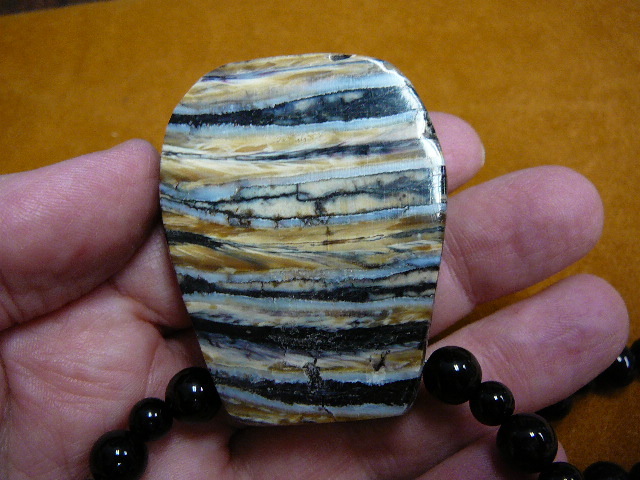 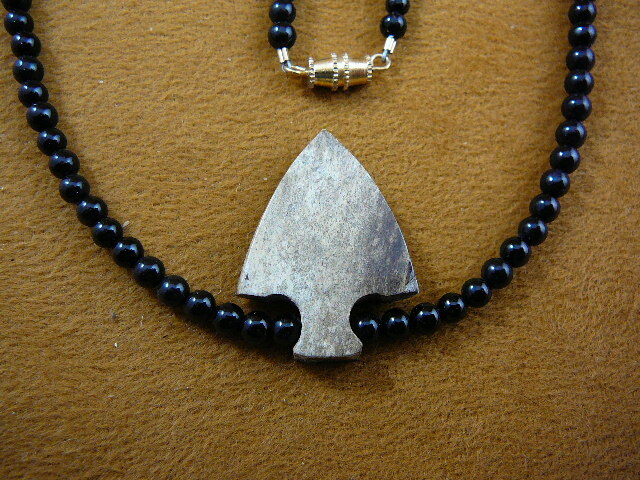 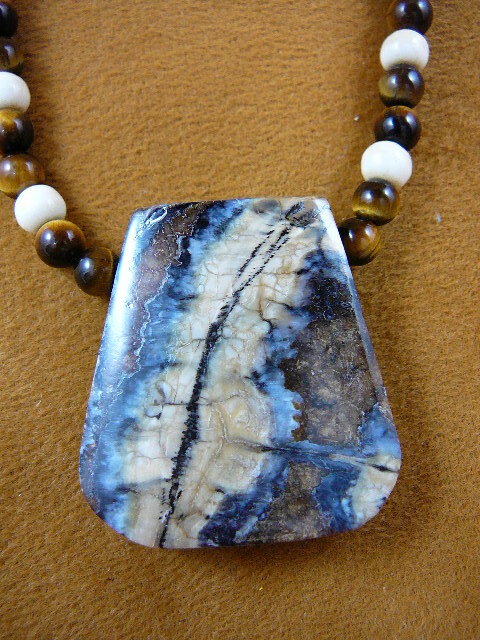 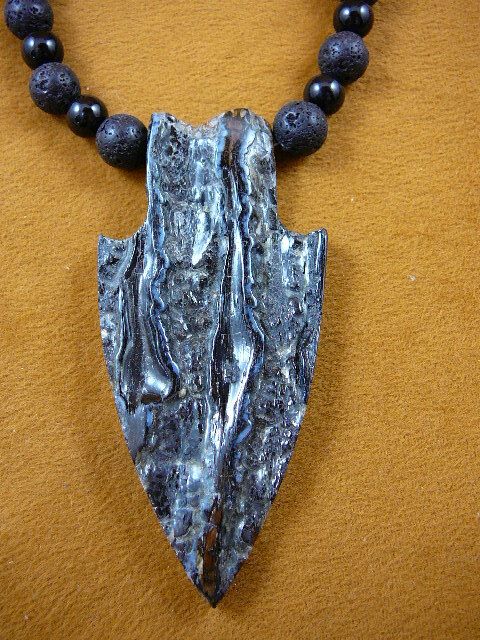 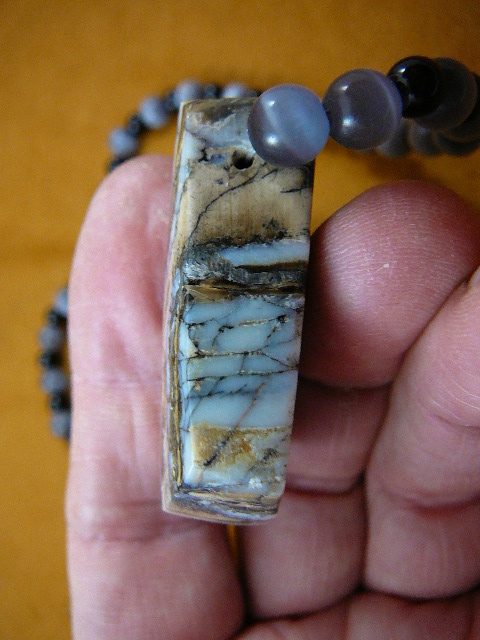 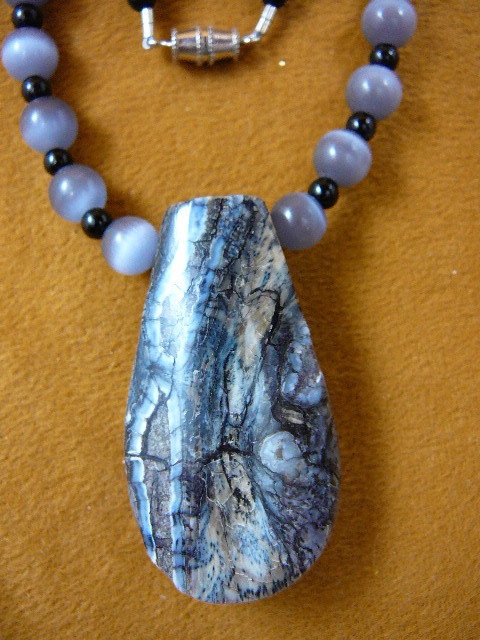 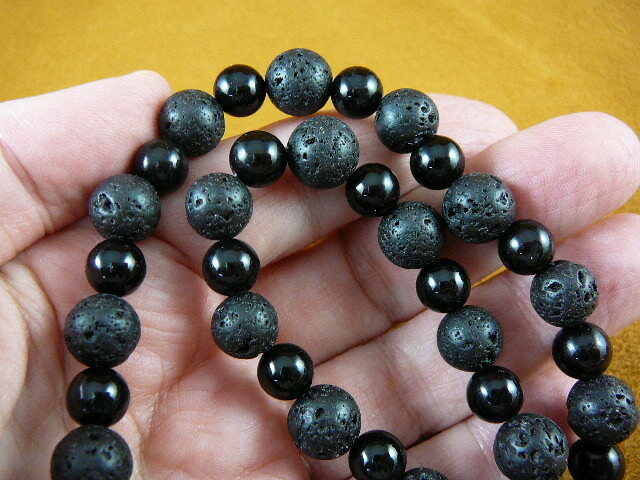 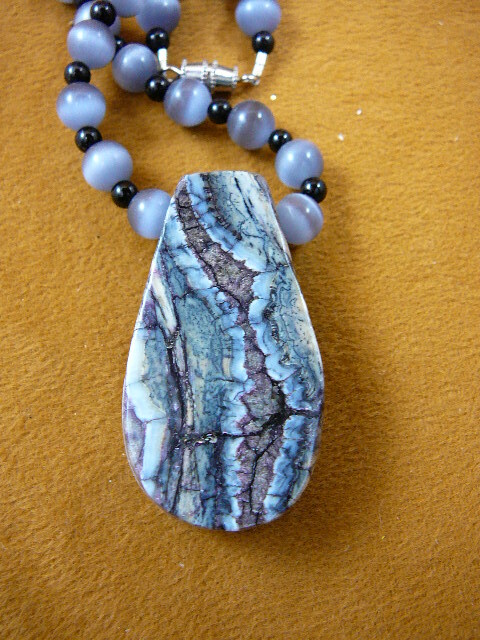 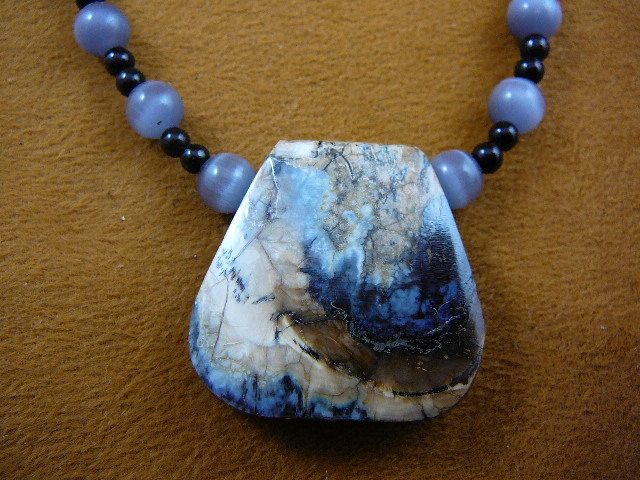 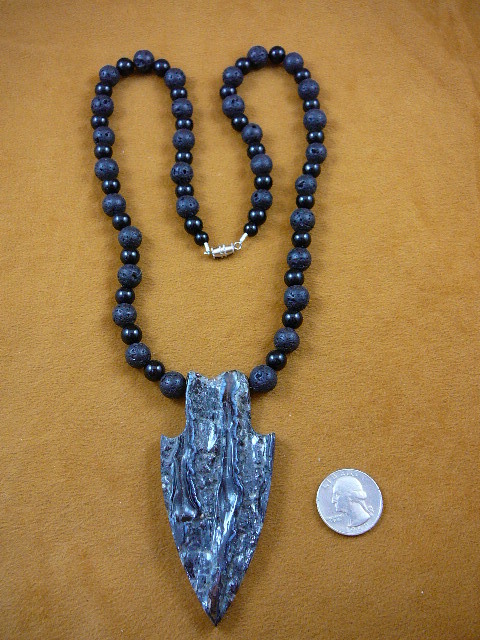 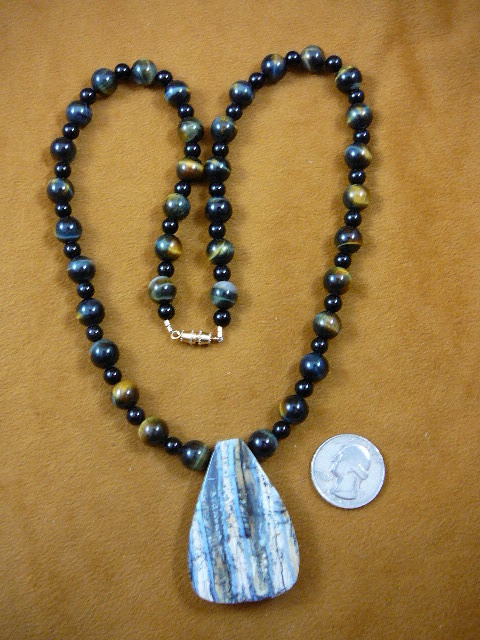 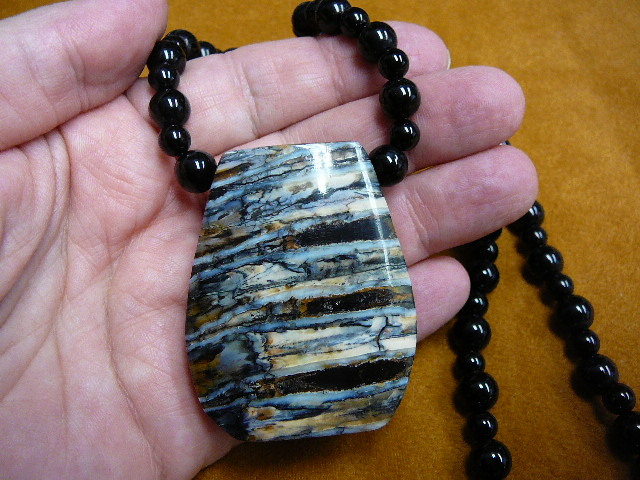 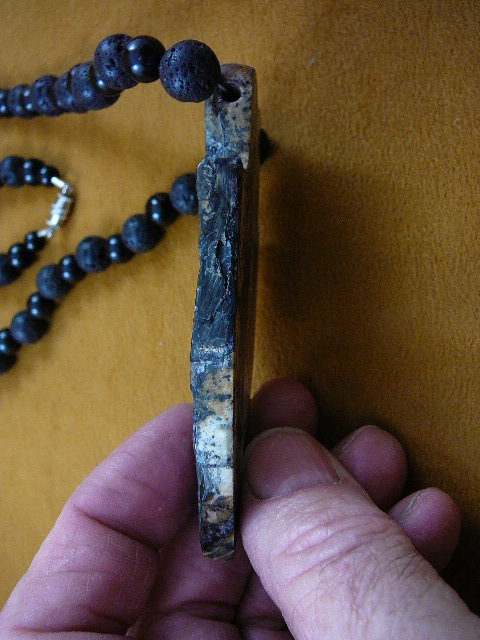 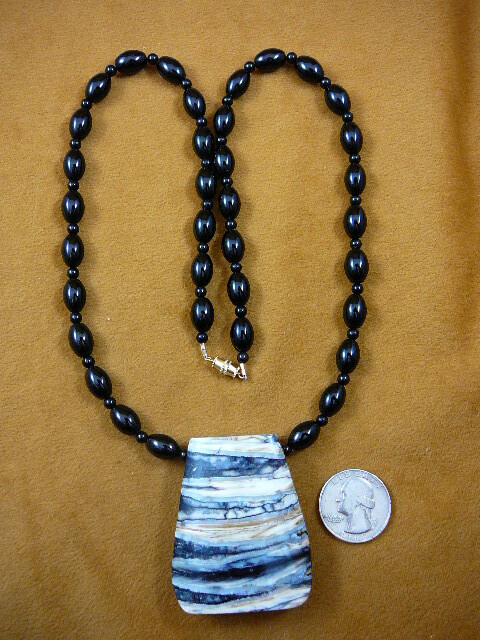 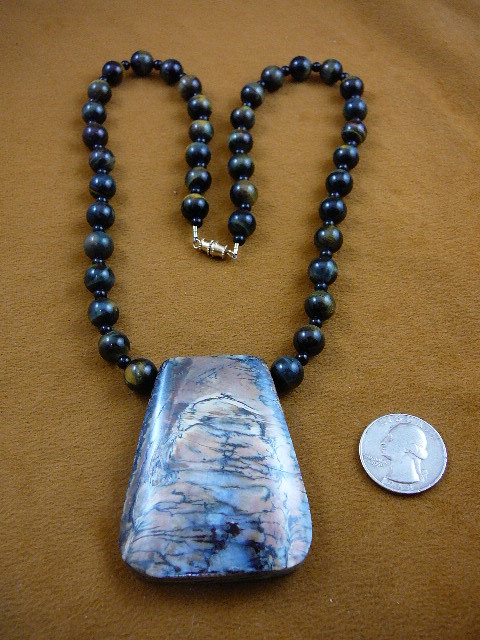 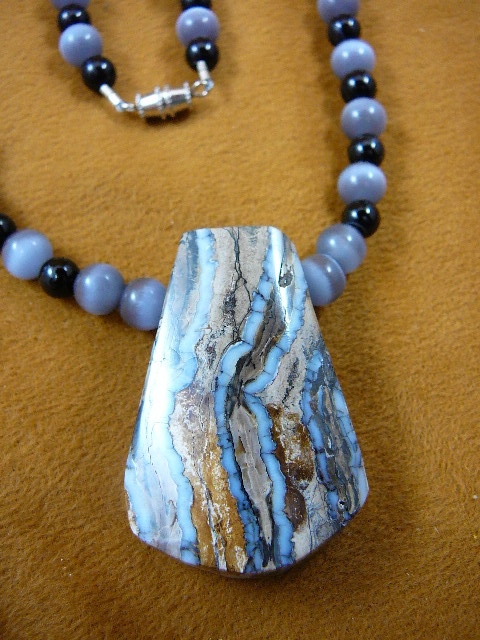 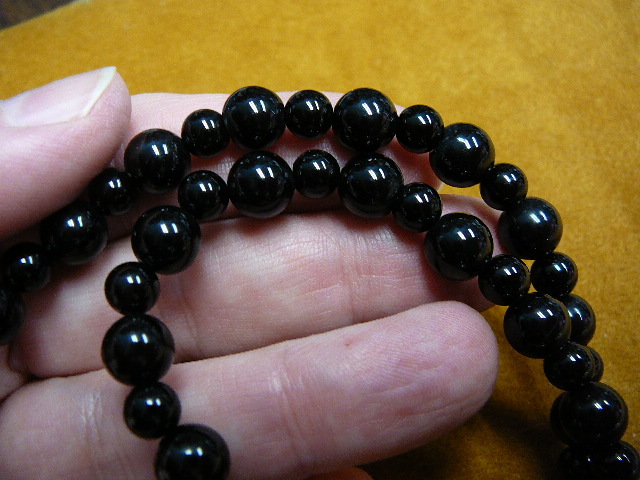 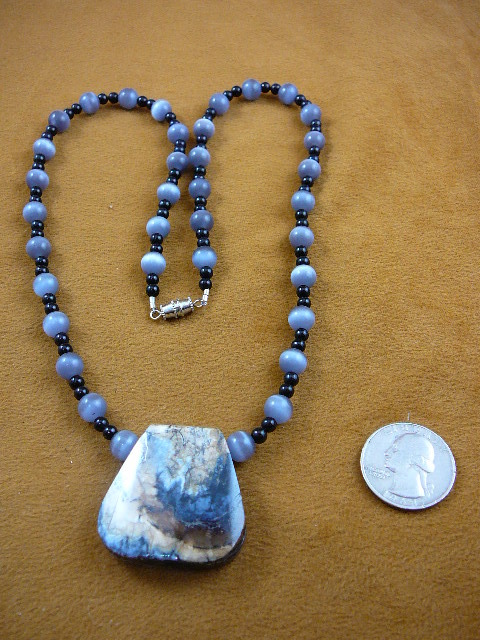 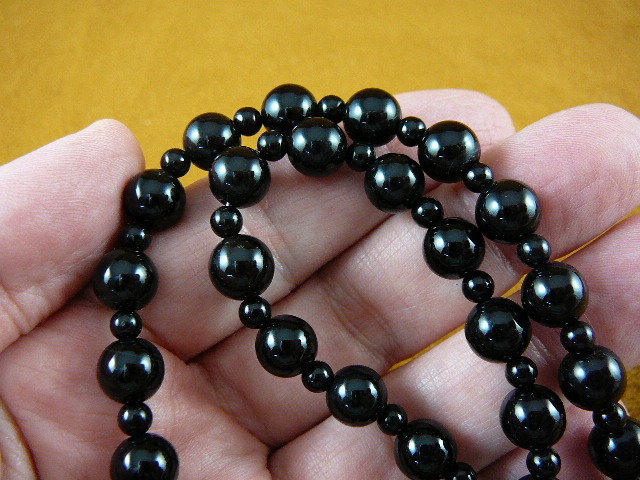 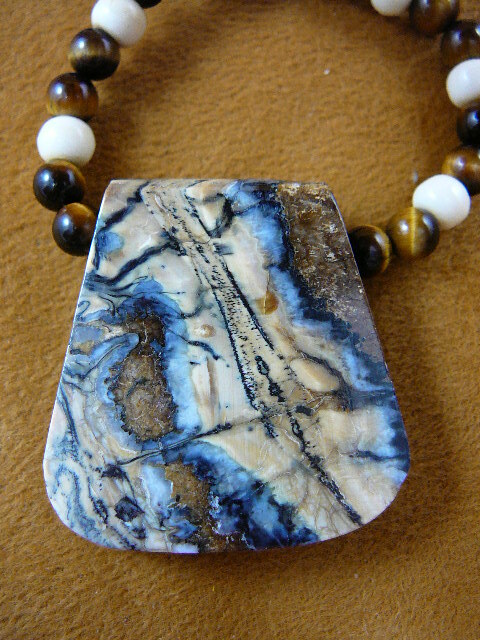 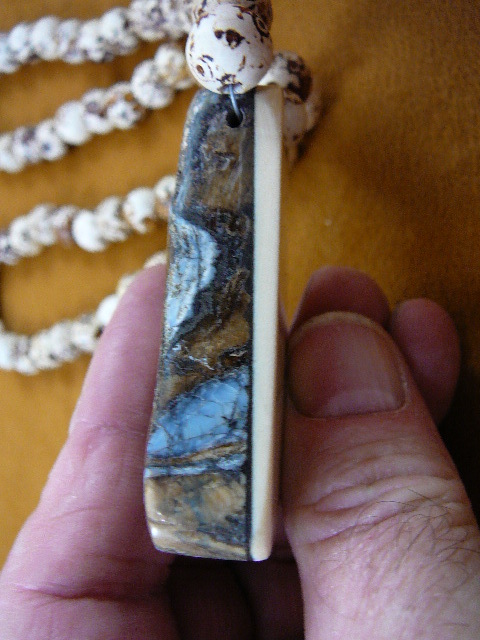 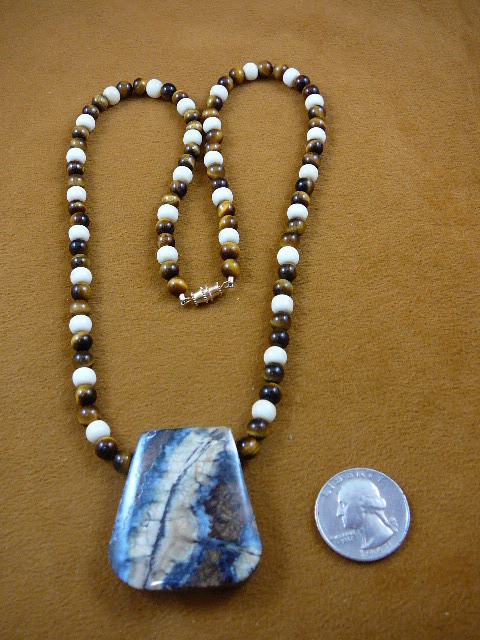 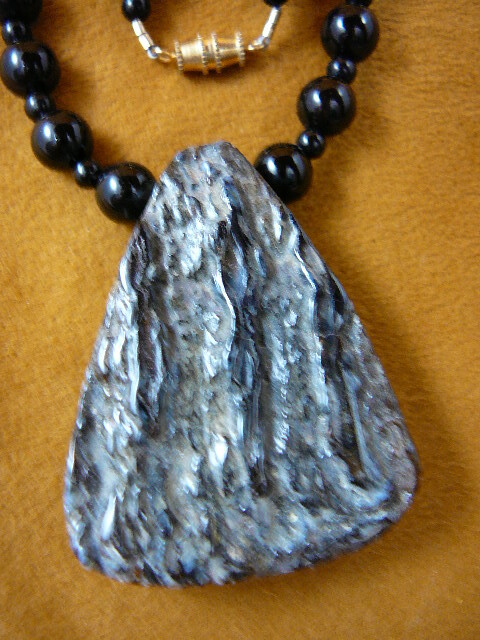 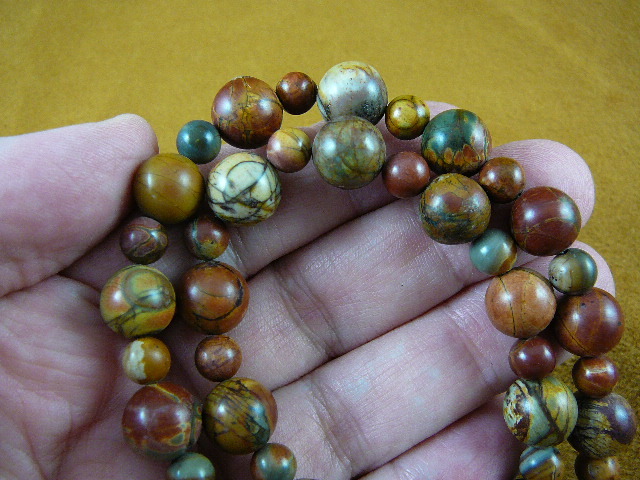 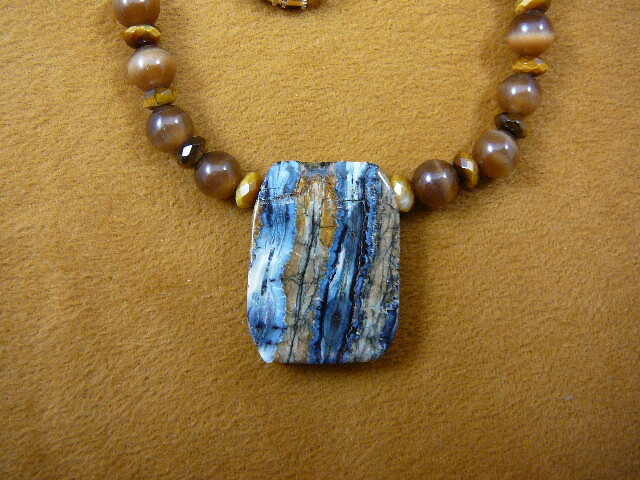 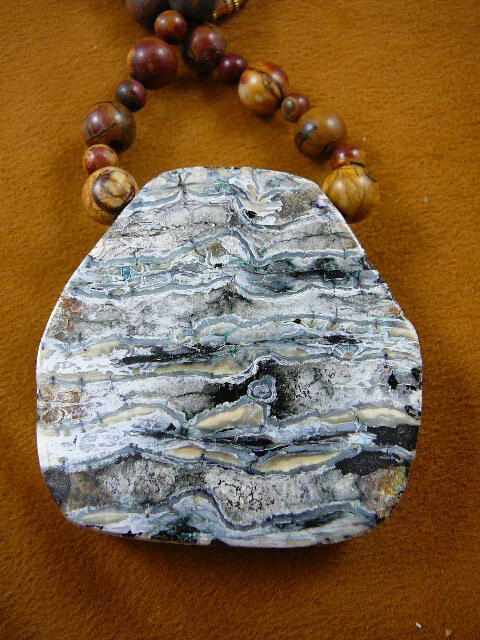 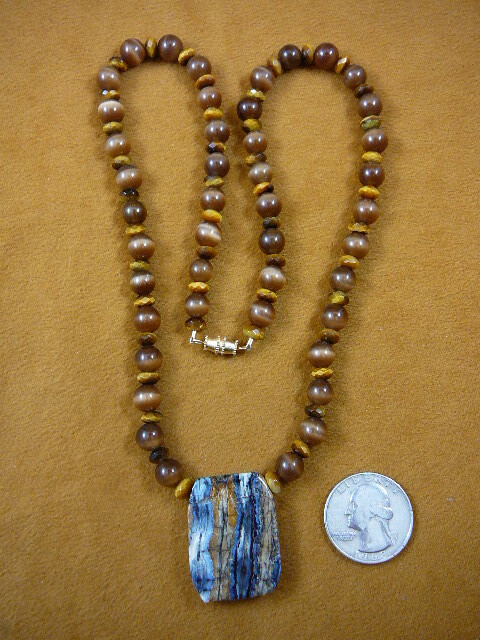 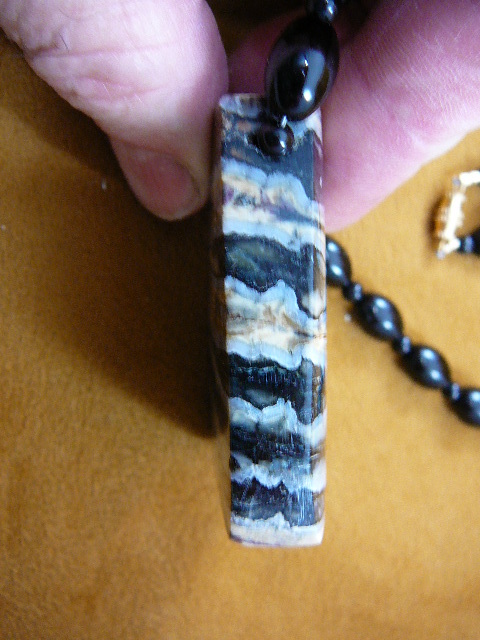 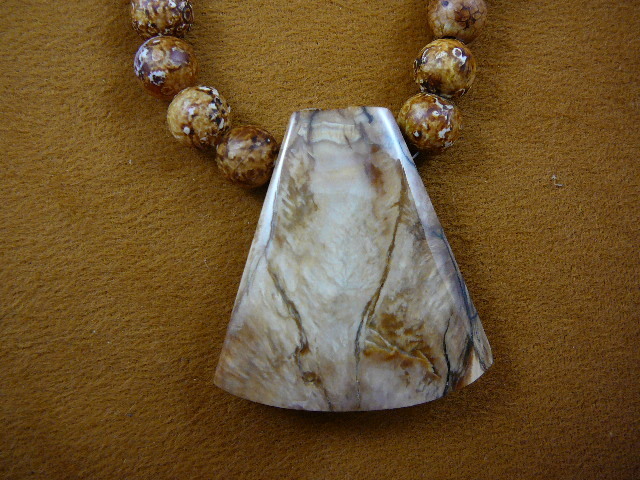 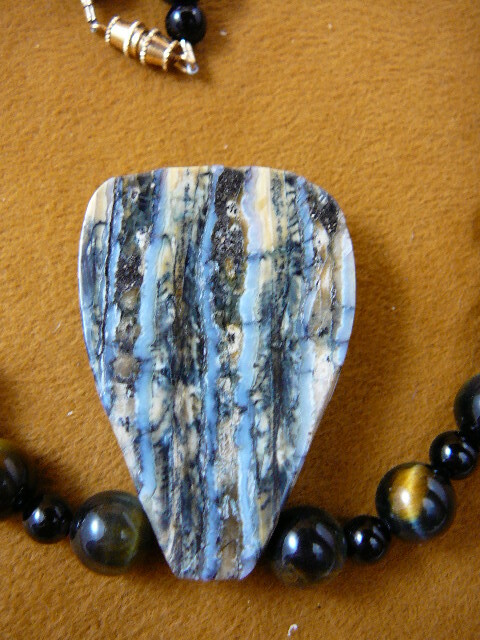 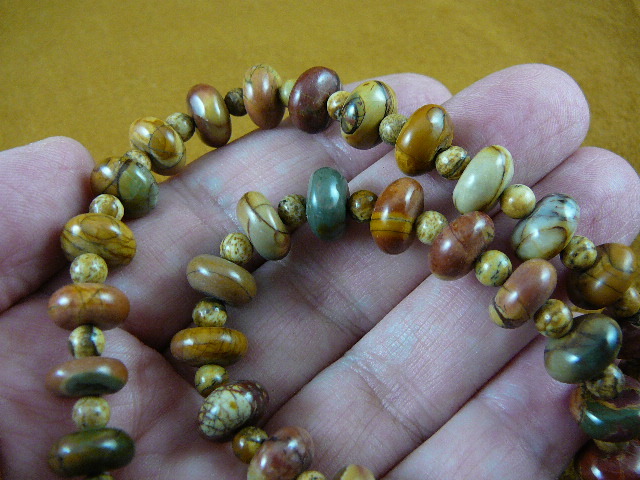 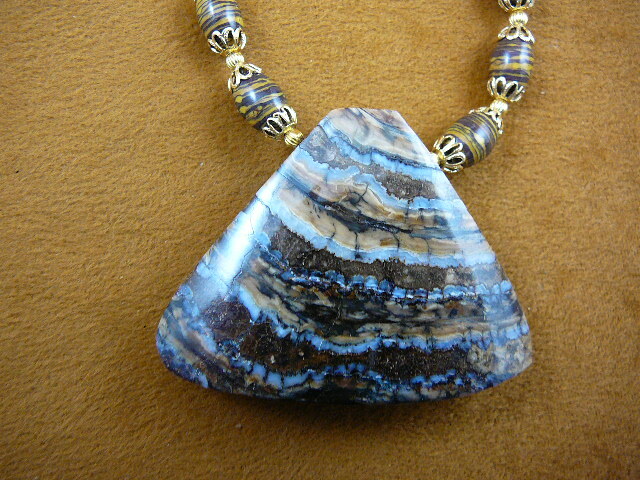 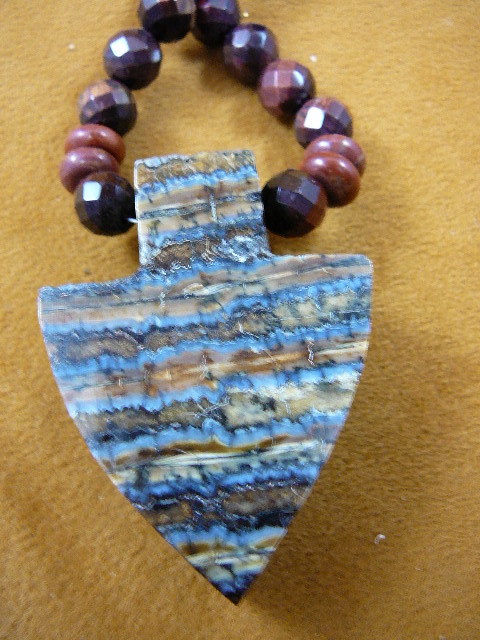 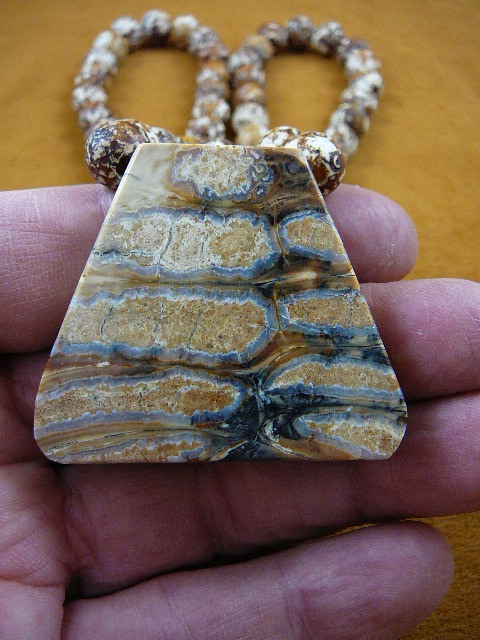 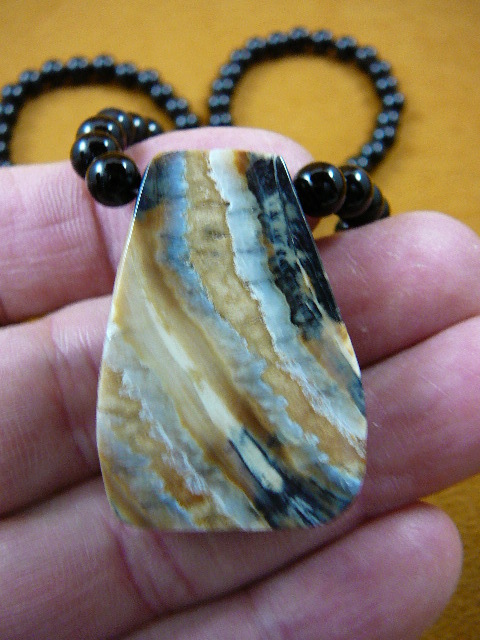 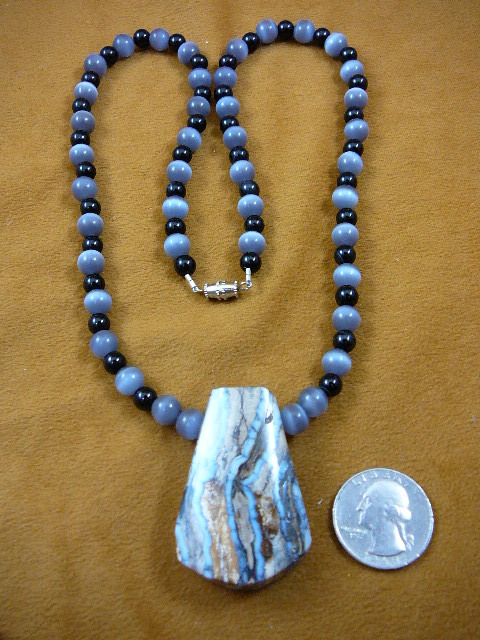 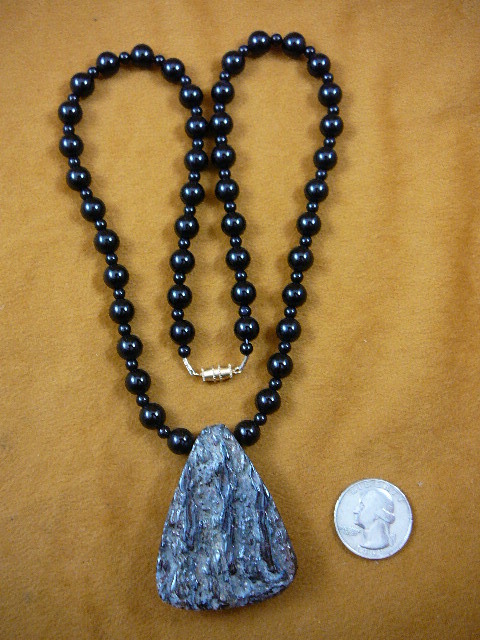 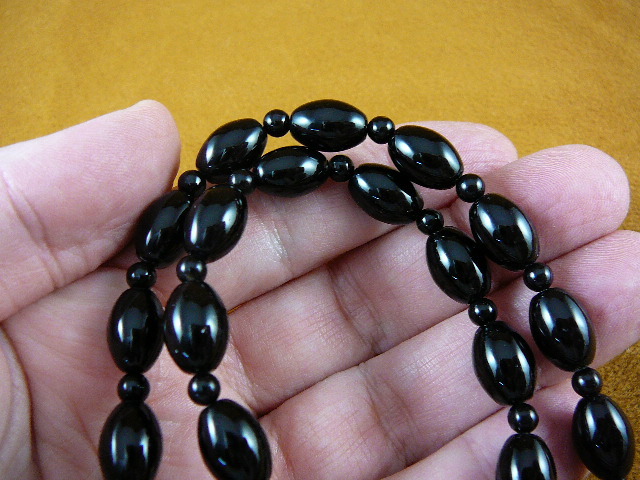 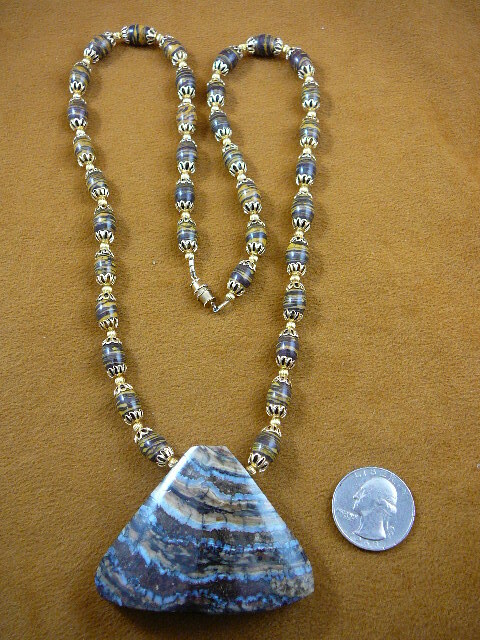 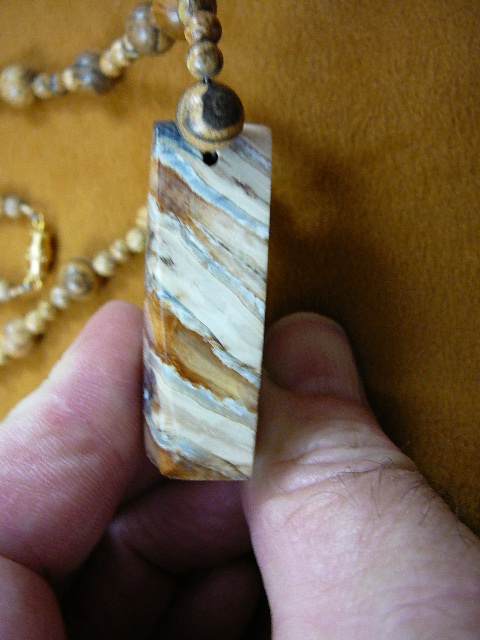 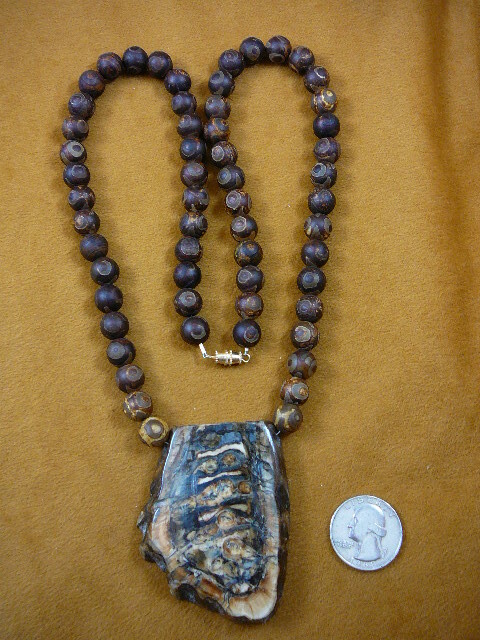 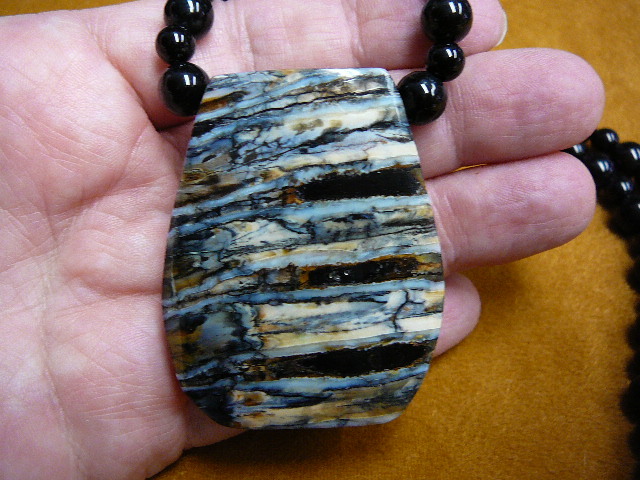 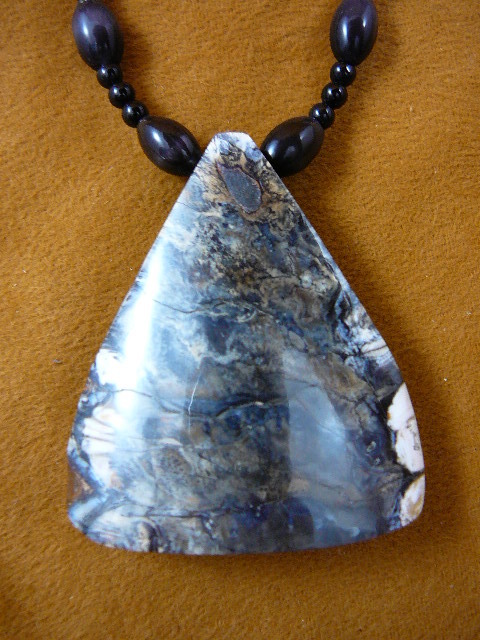 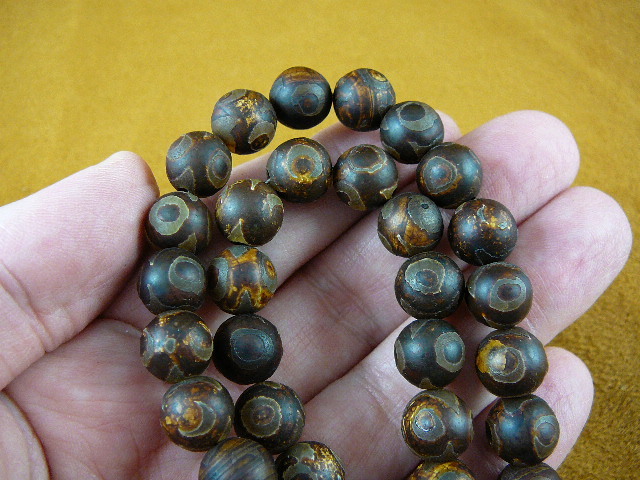 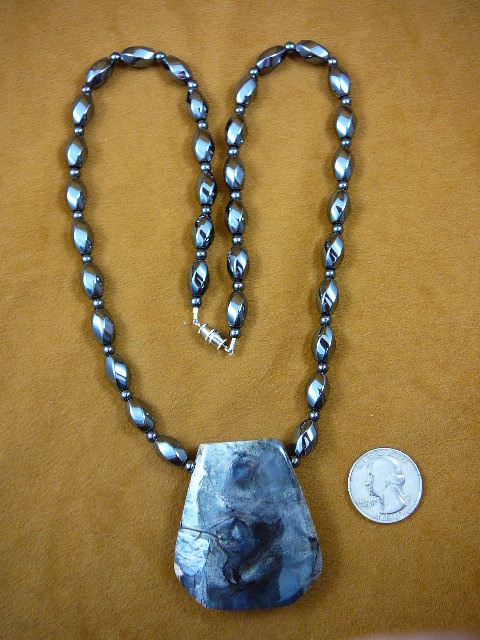 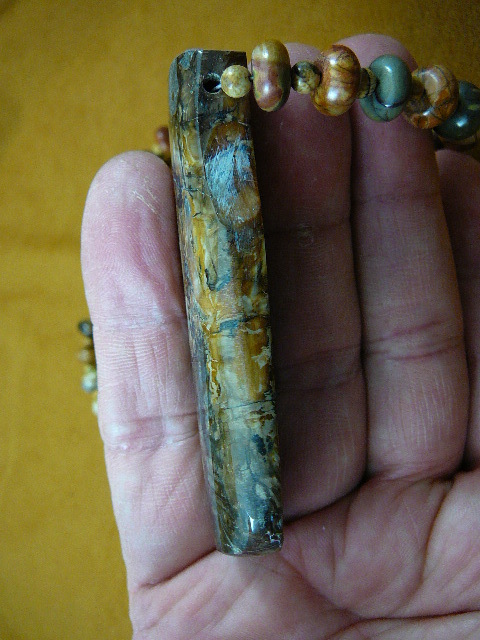 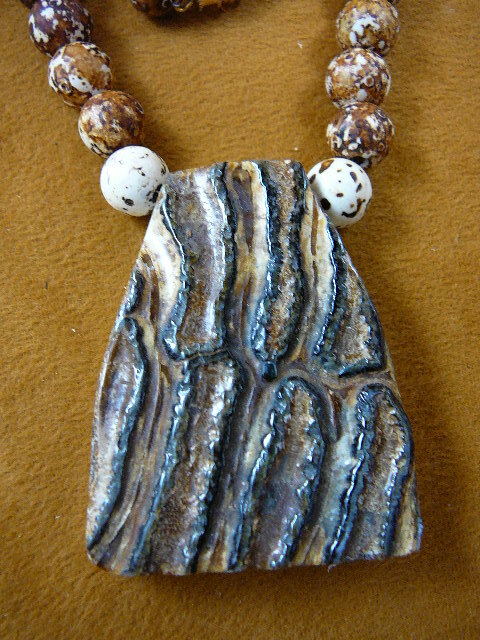 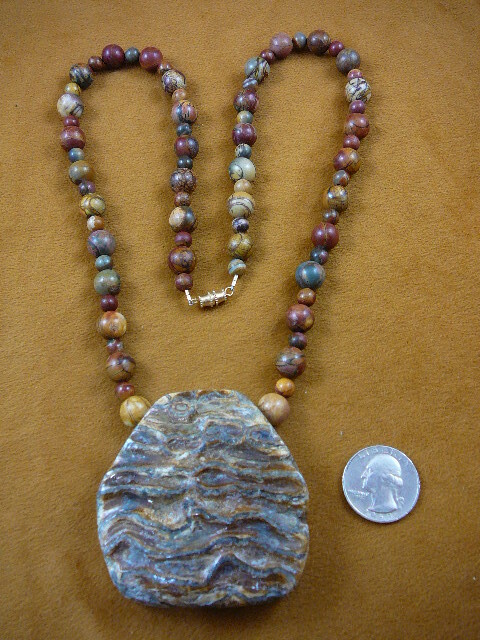 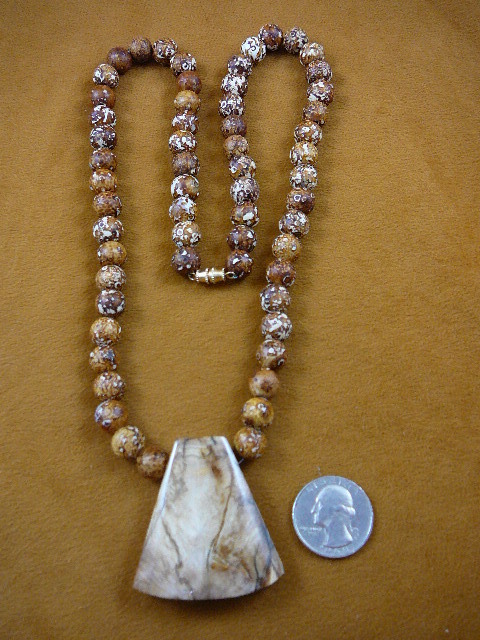 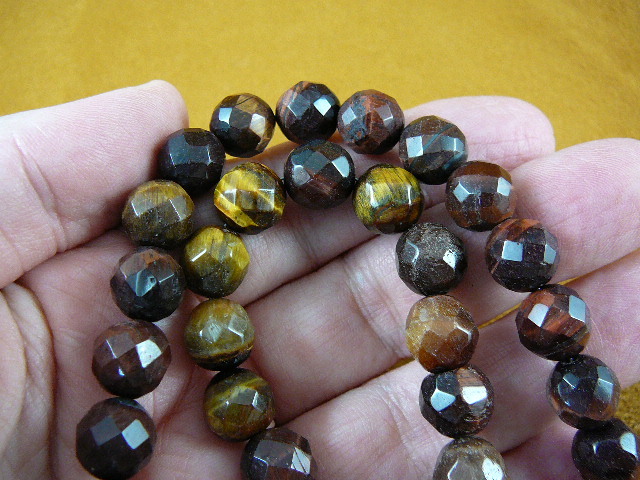 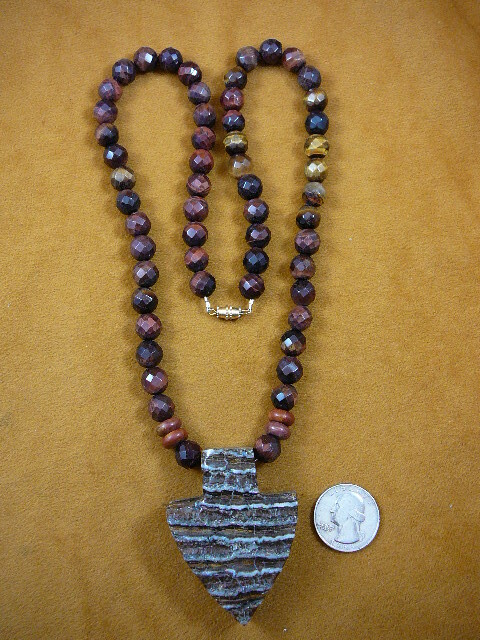 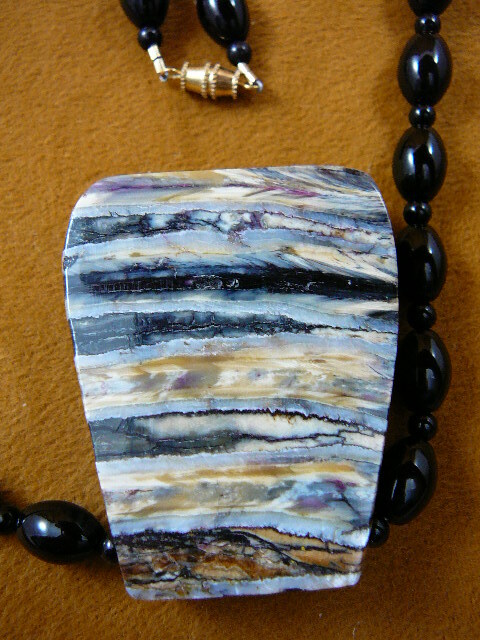 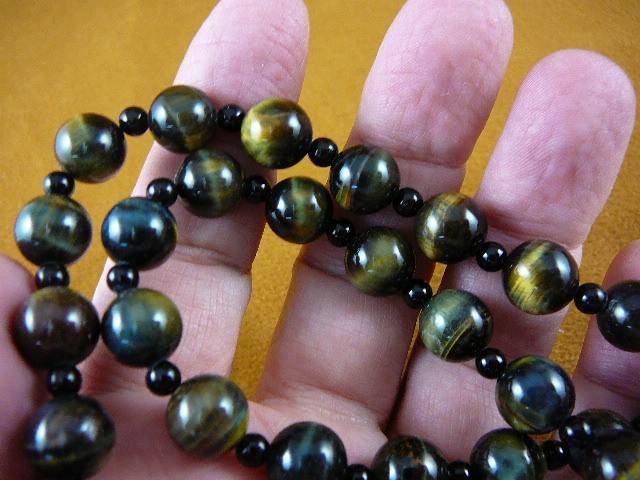 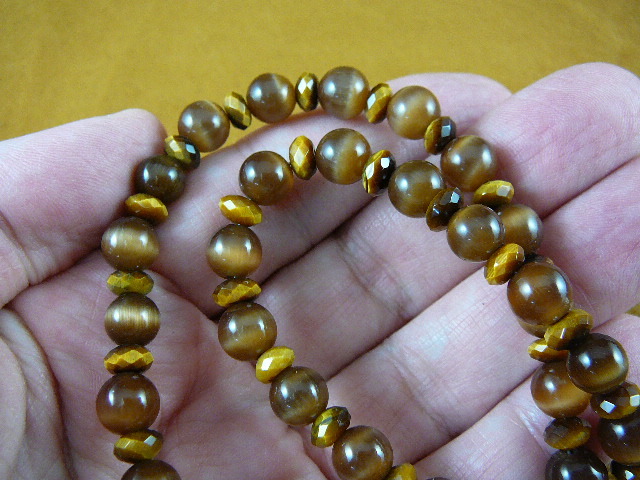 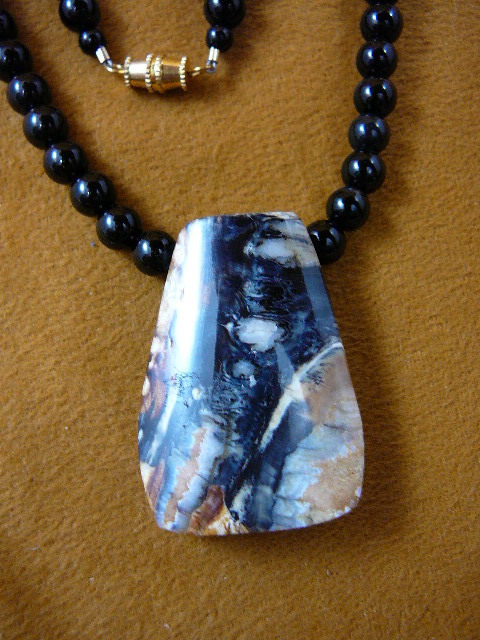 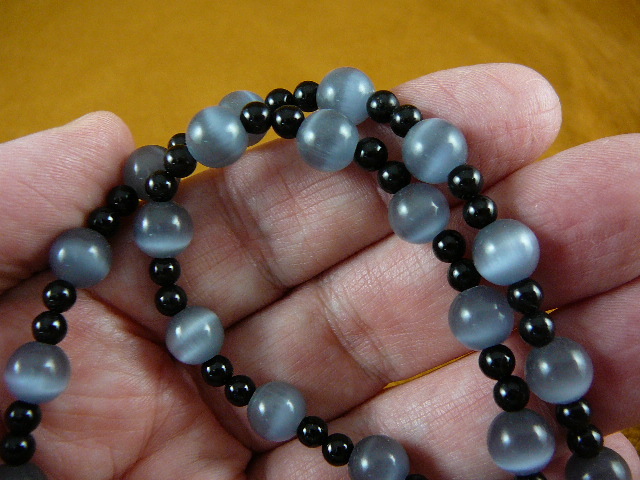 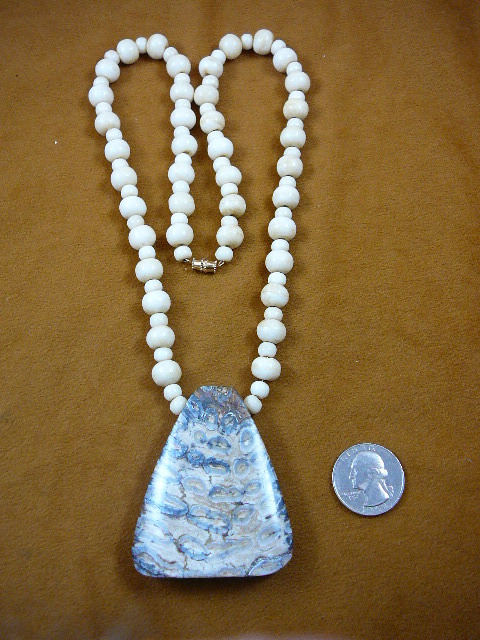 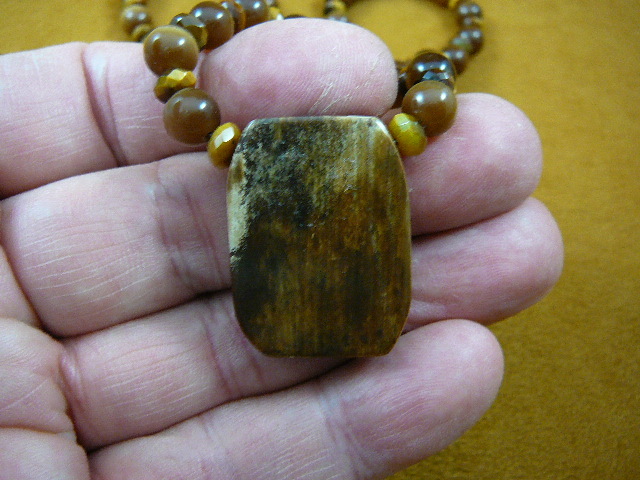 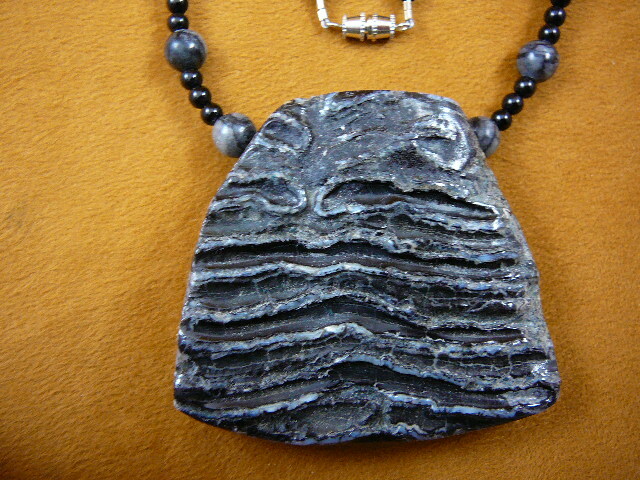 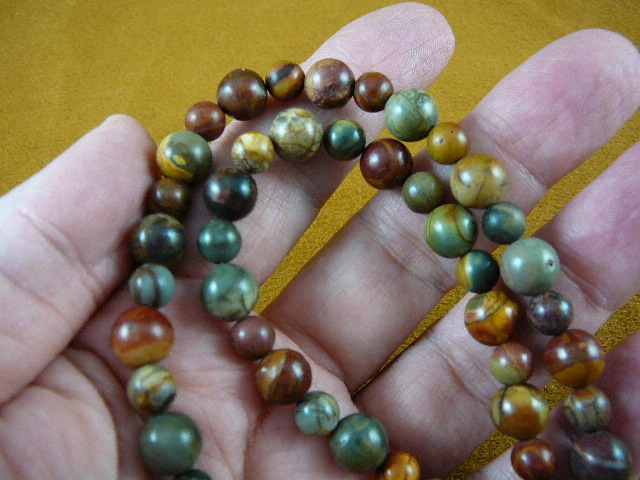 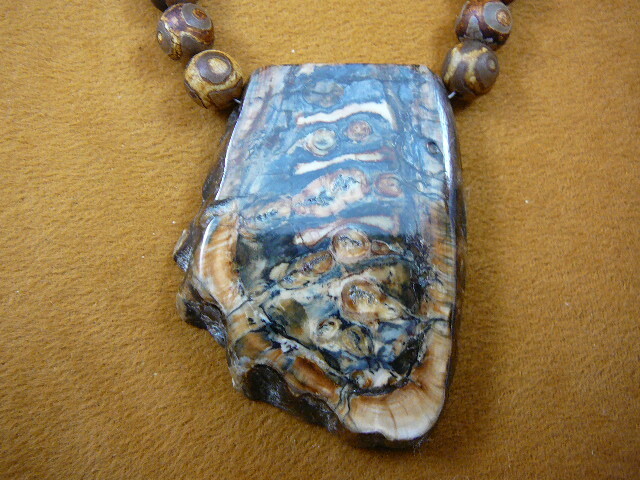 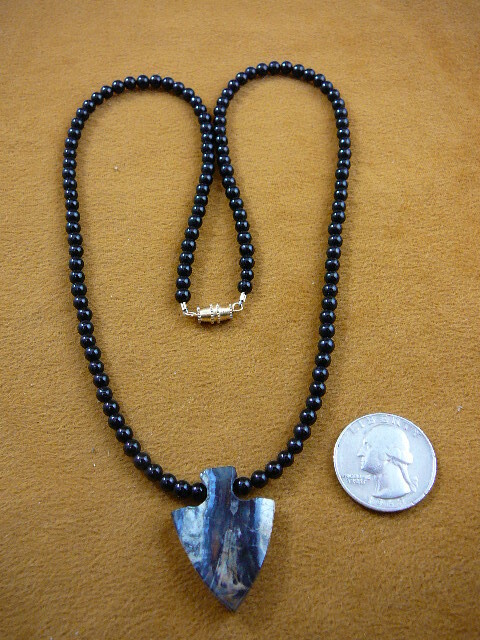 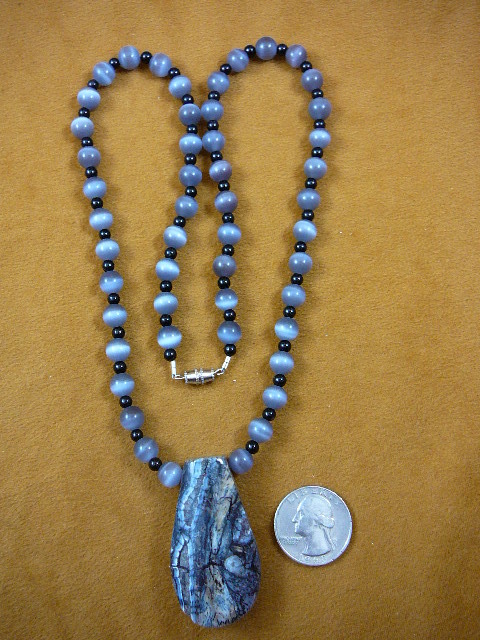 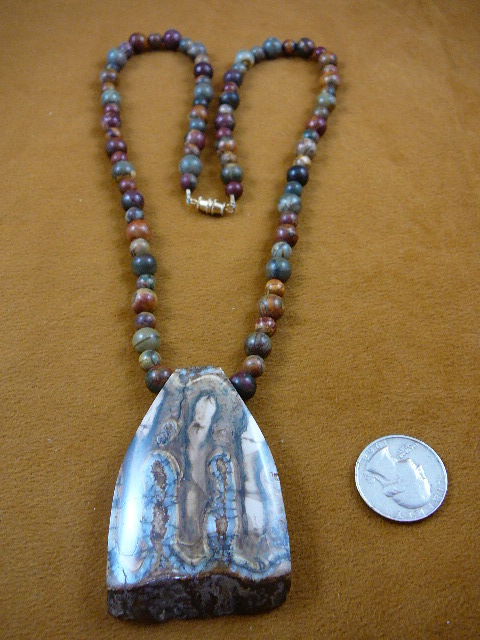 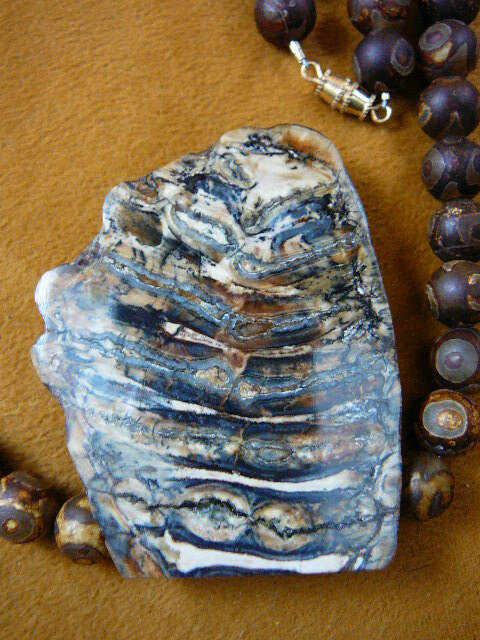 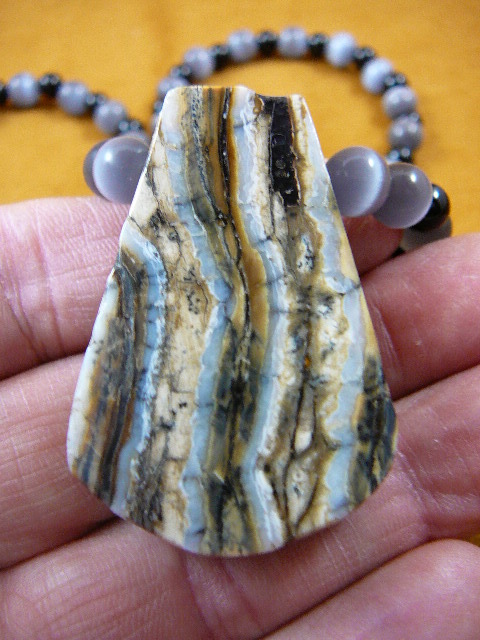 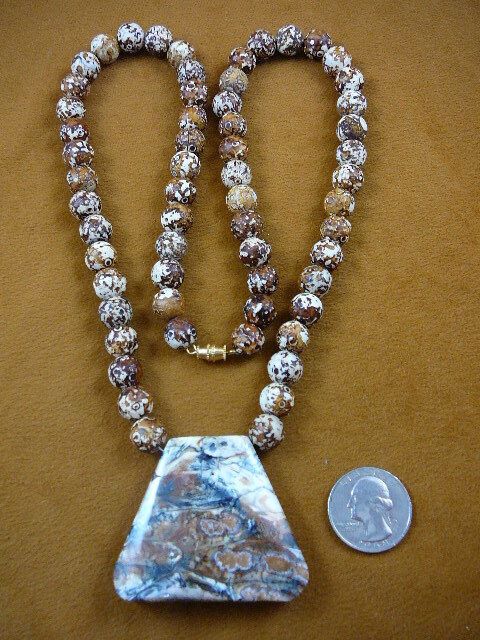 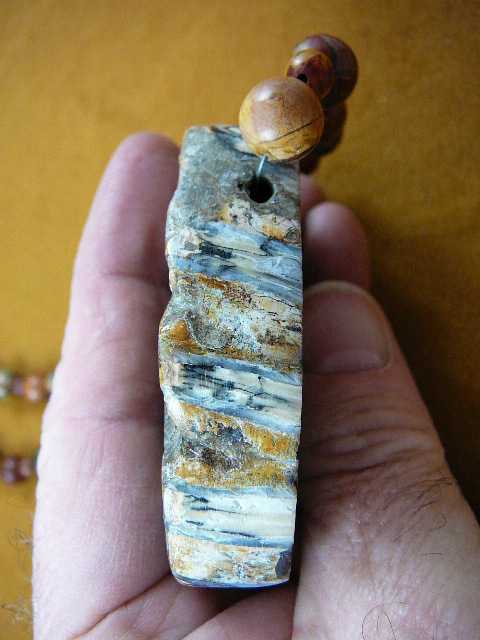 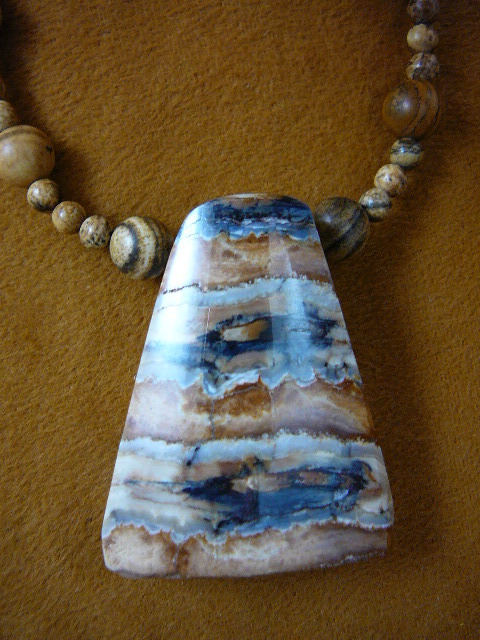 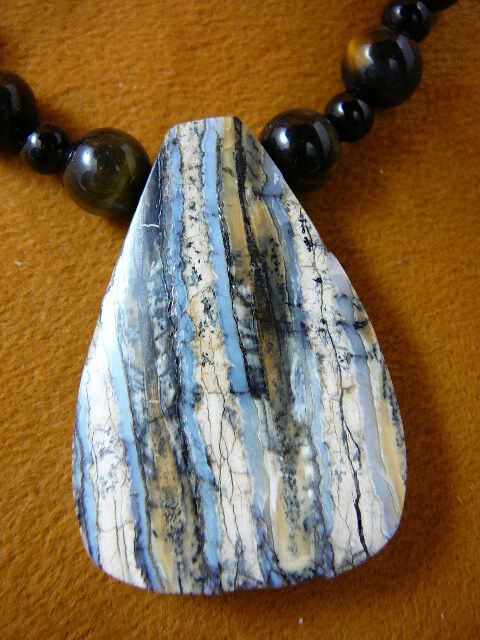 THIS NECKLACE IS NOT FOR THE FAINT OF HEART, weighs over 9 ounces. 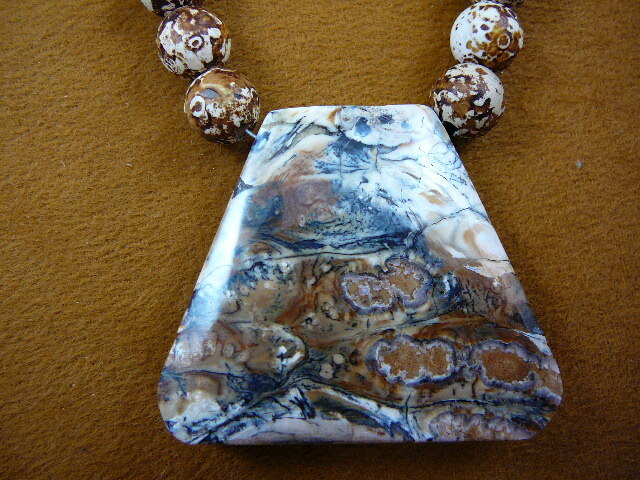 Brown, gray and black pattern front (natural), mounted on stainless steel dogtag on back. 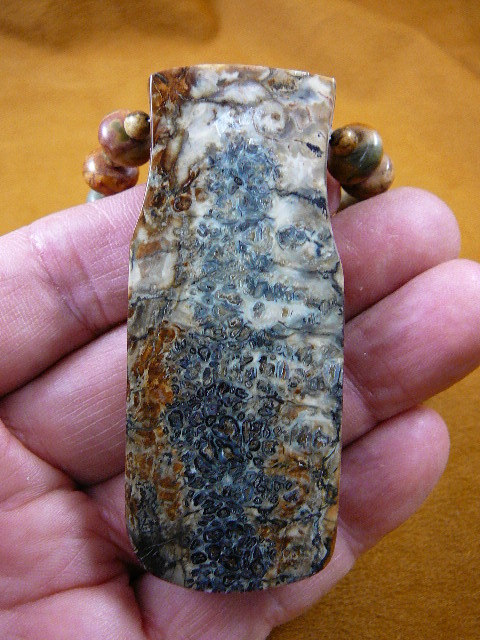 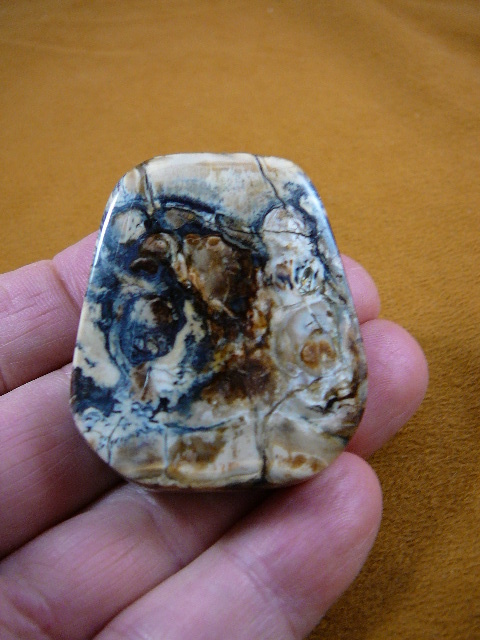 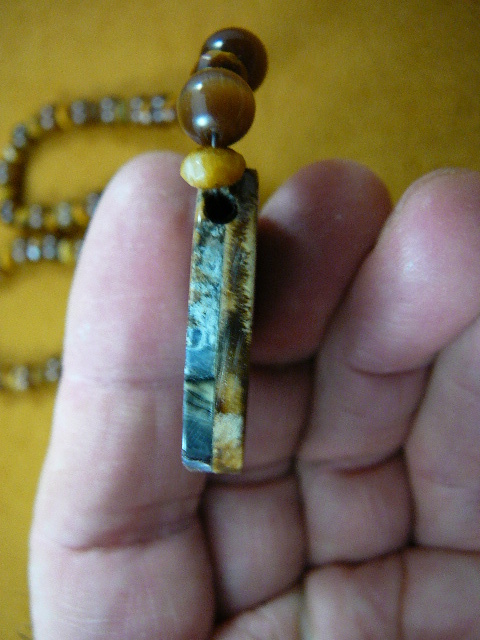 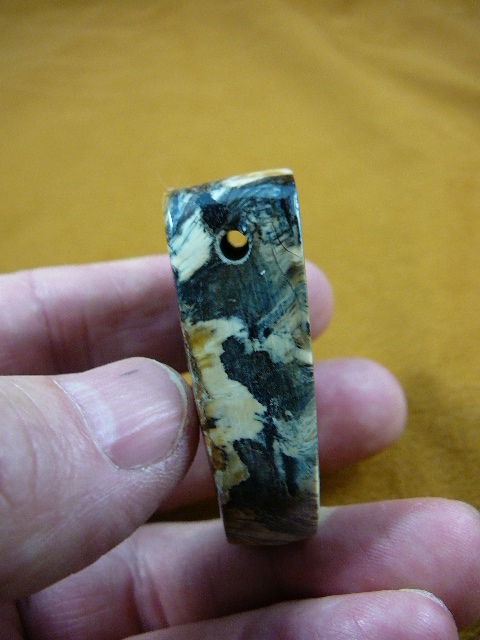 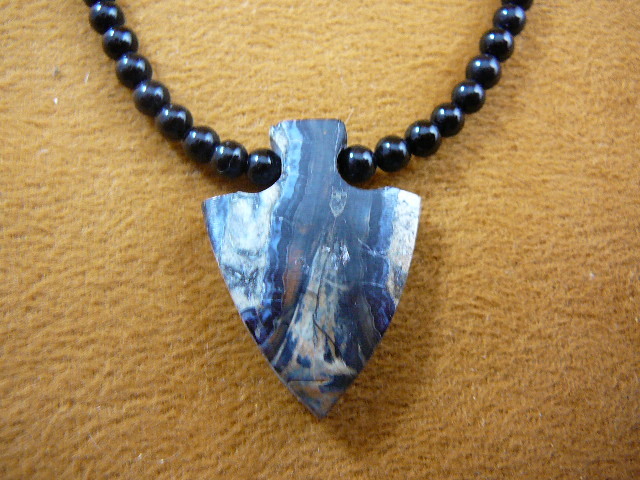 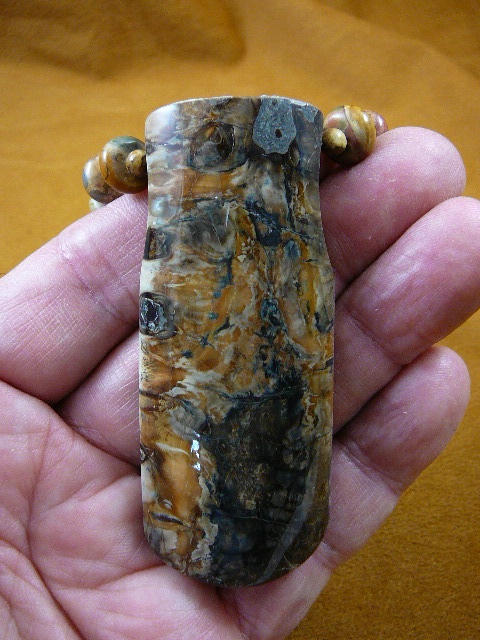 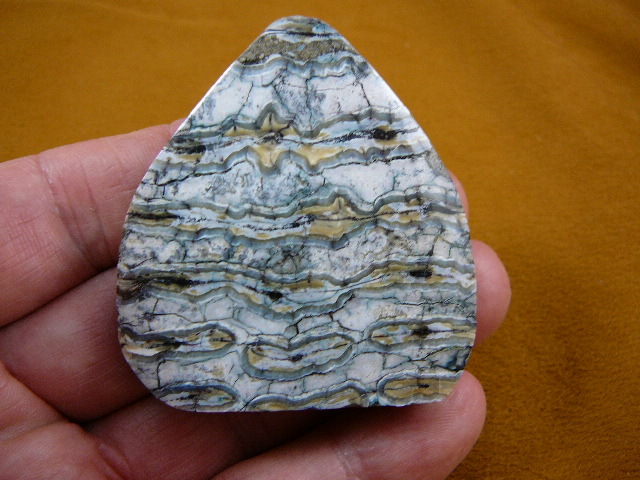 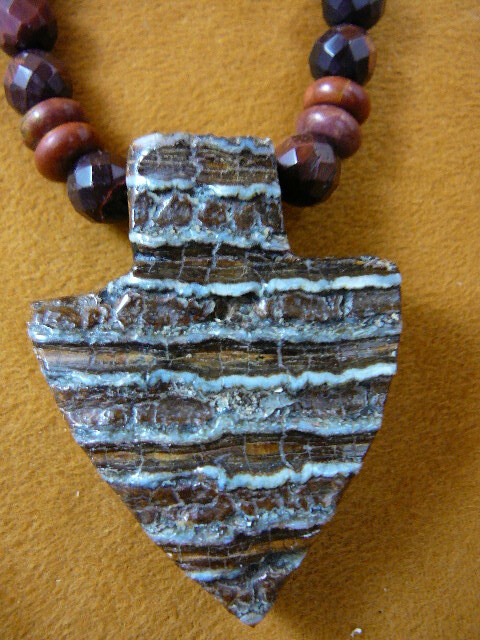 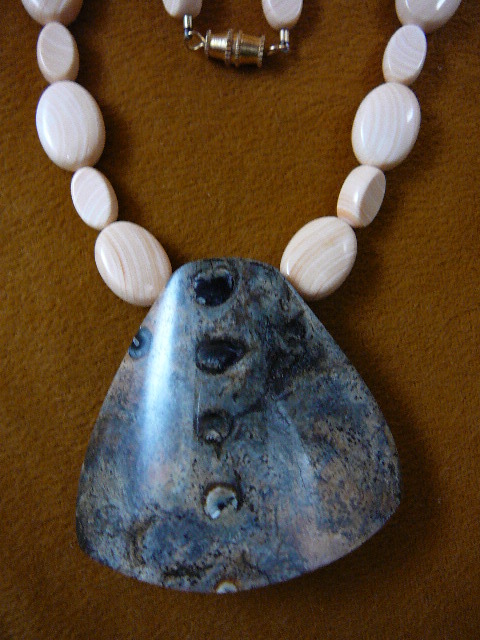 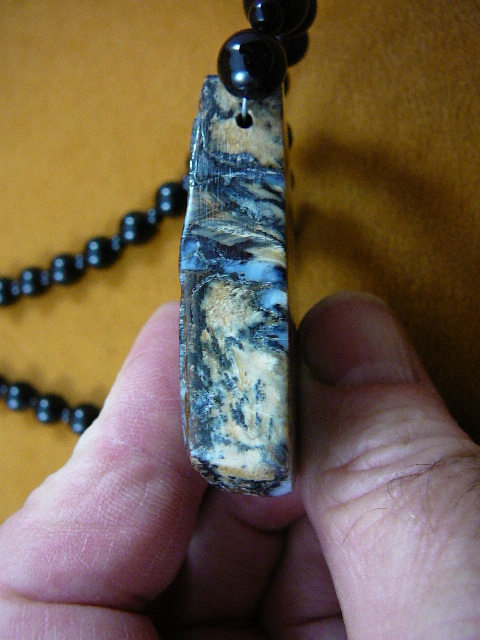 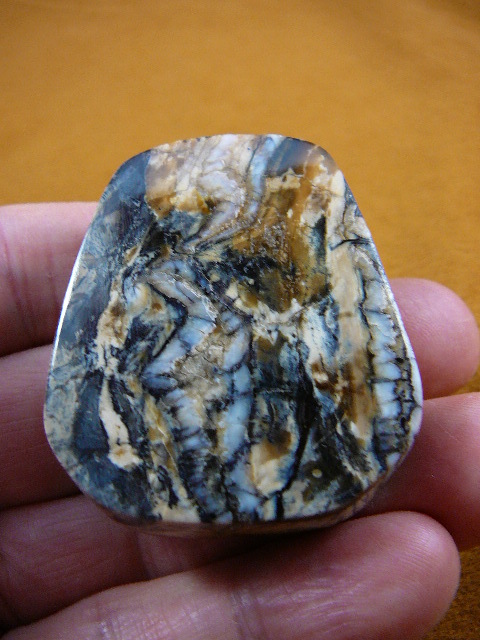 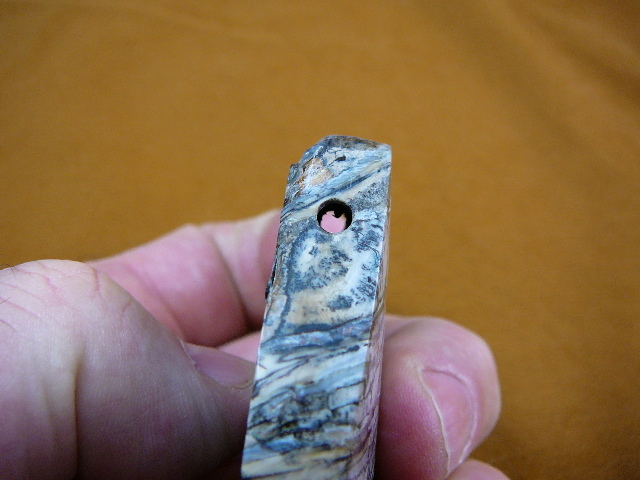 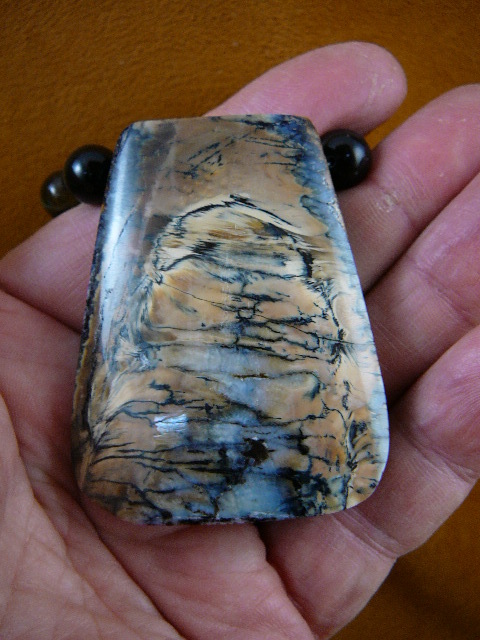 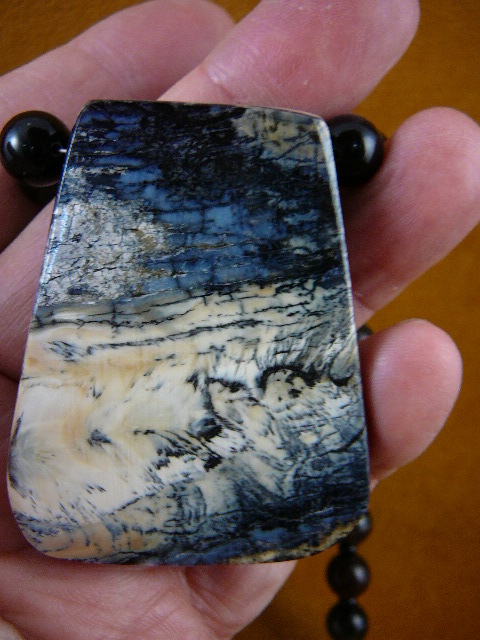 Brown, gray, black pattern front (natural); mounted on stainless steel dogtag back. 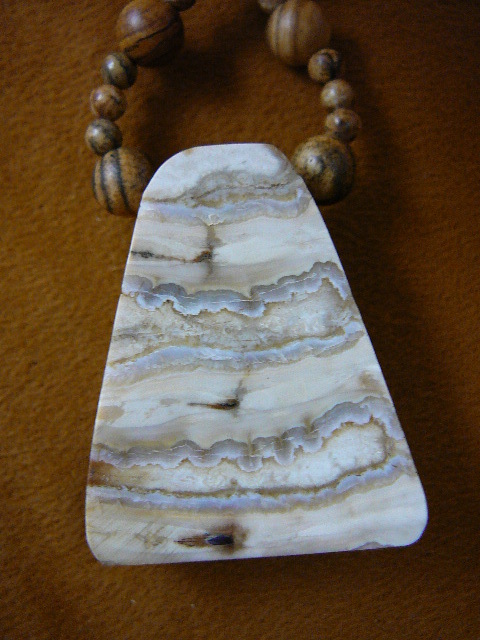 Tan/gray pattern front (natural); mounted on stainless steel dog tag back. 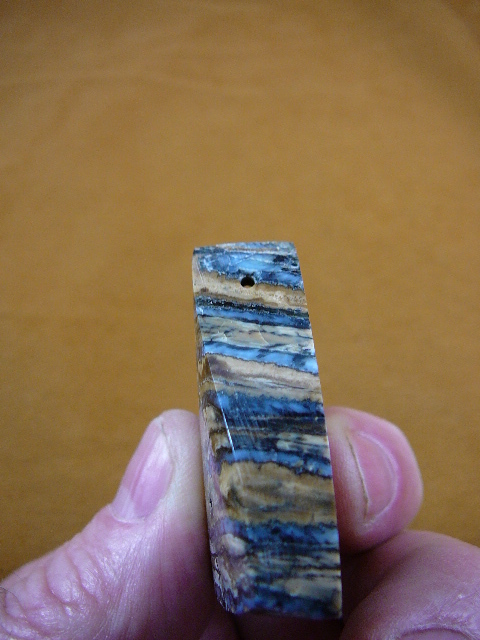 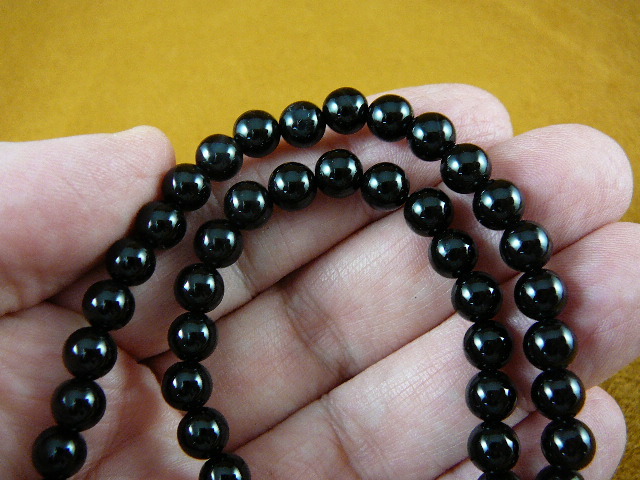 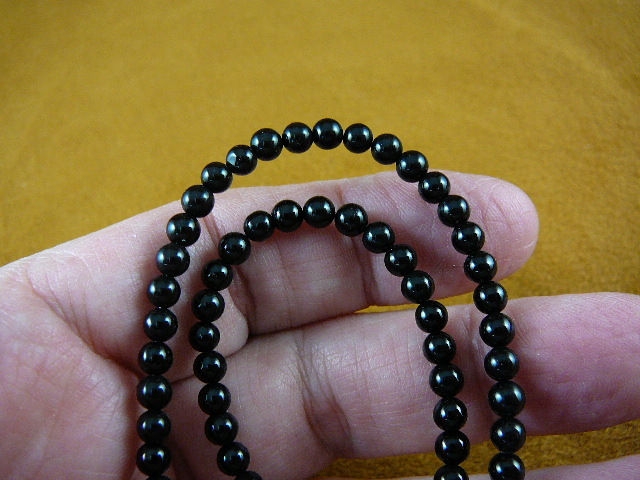 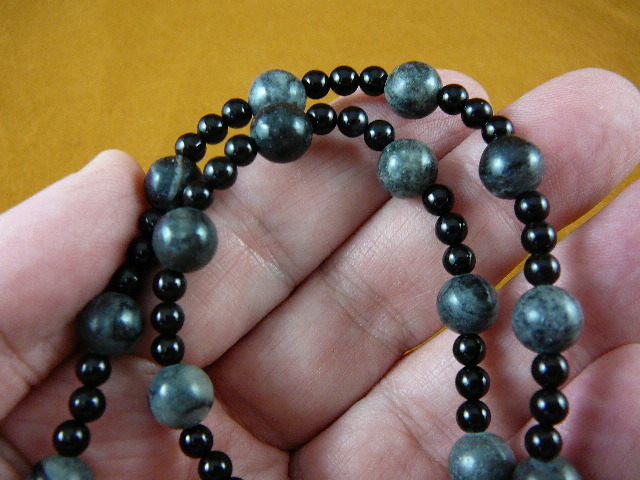 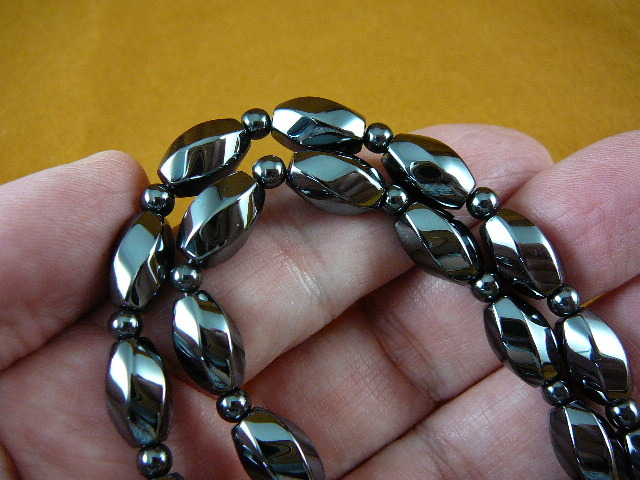 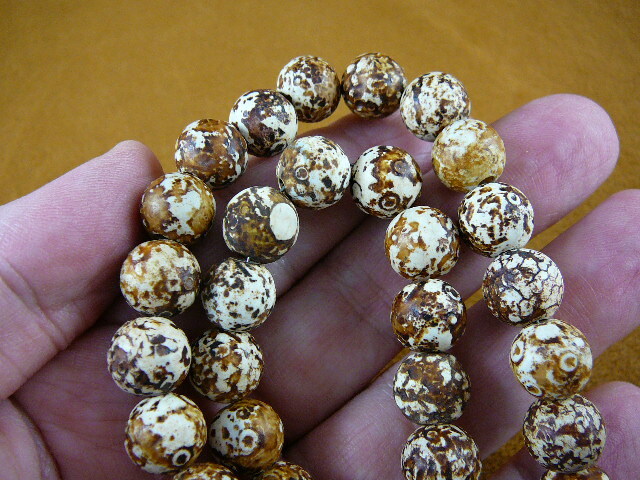 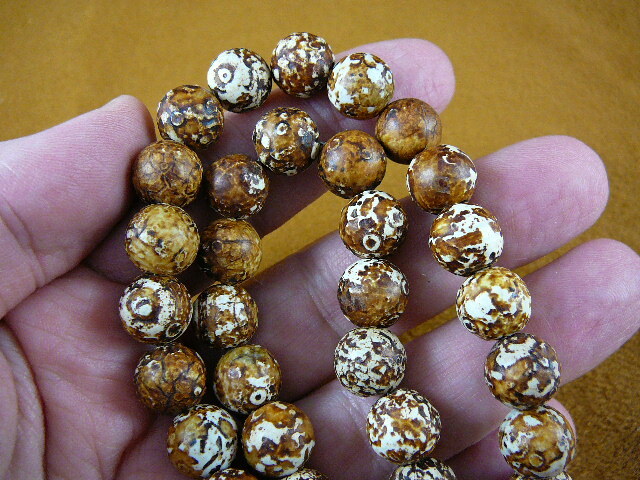 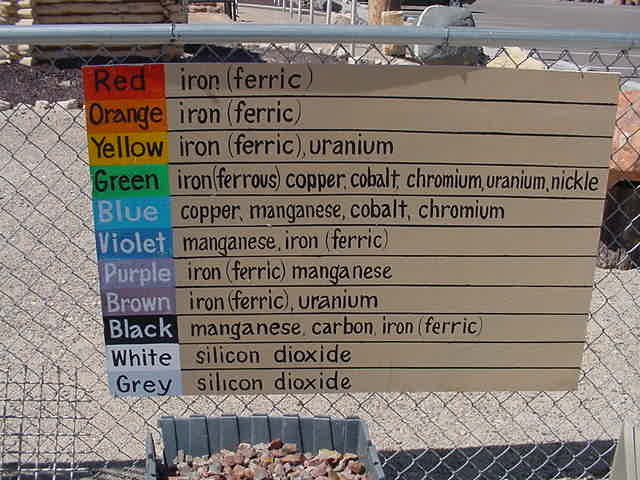 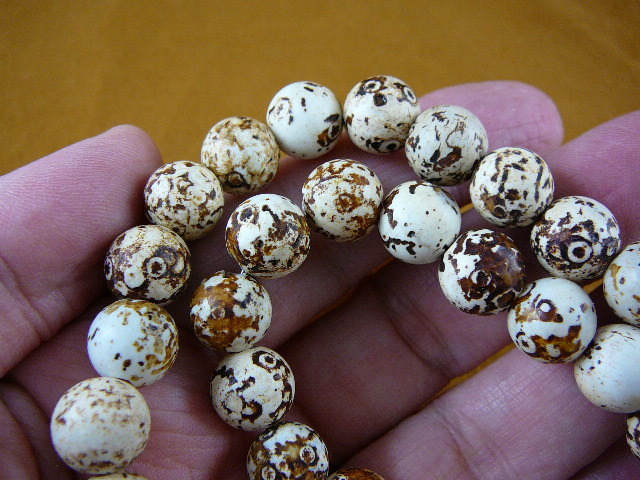 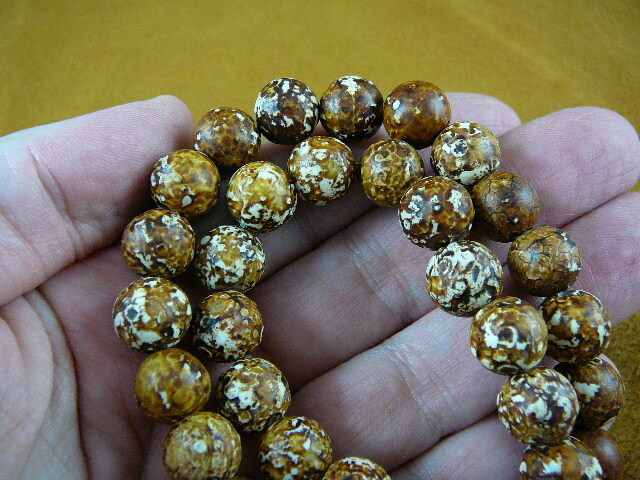 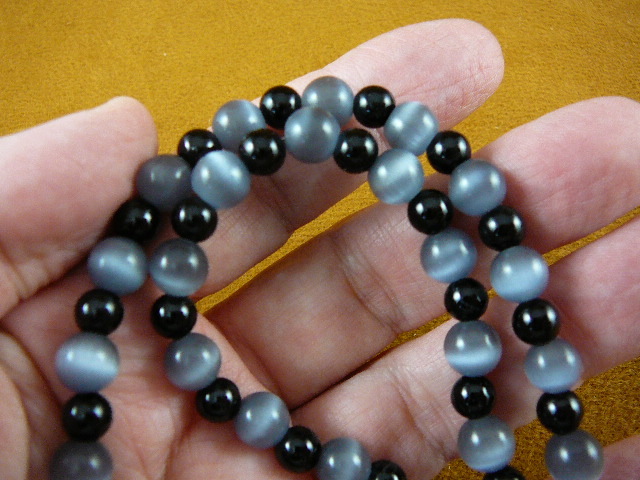 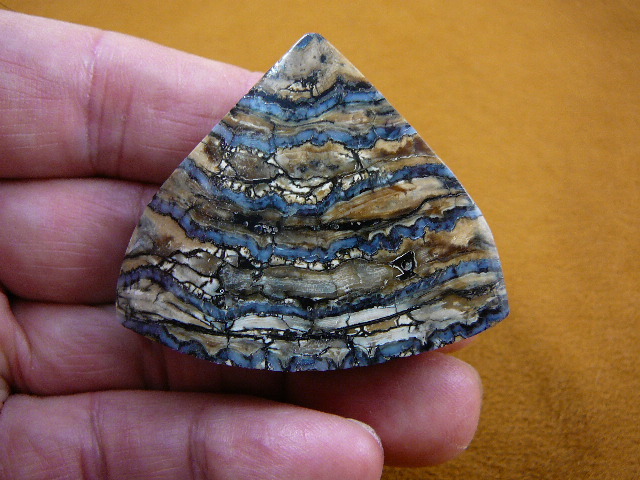 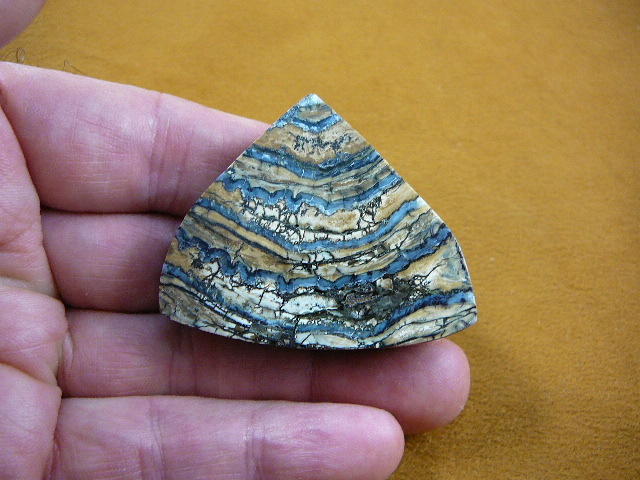 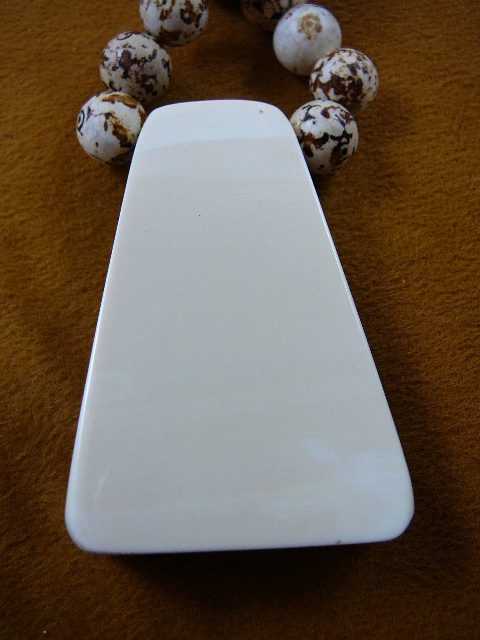 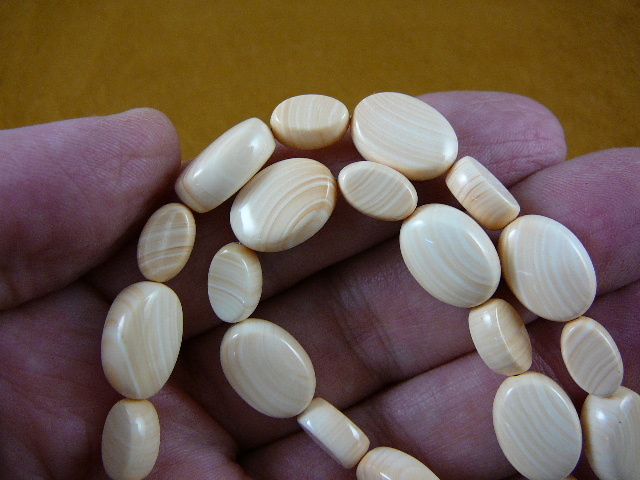 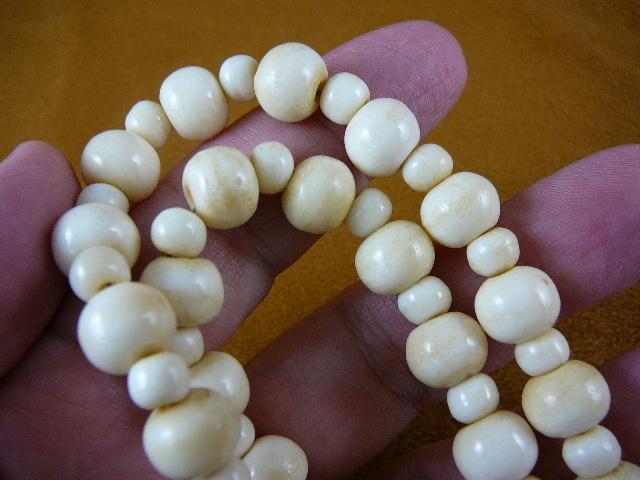 Irregular chips, average size 7x3 mm. 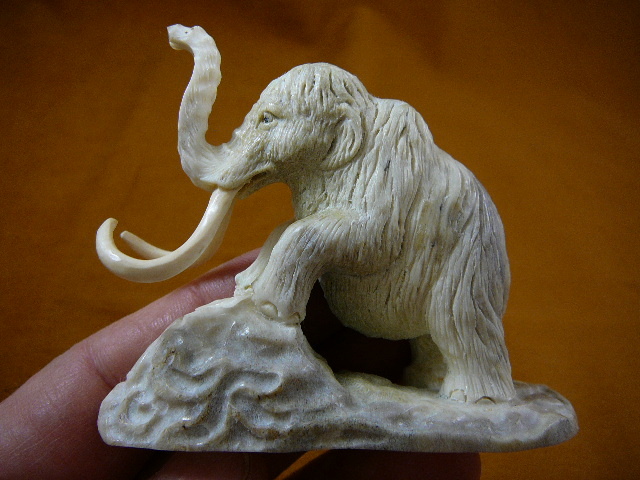 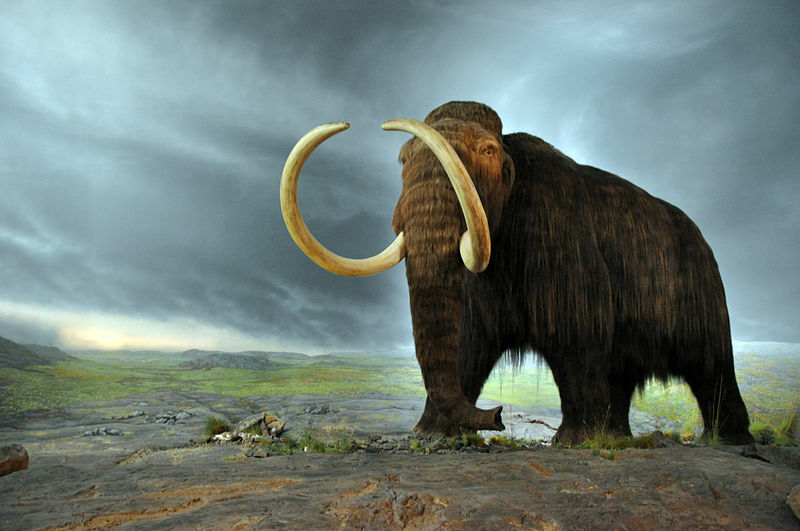 Have an appetite to see MORE Woolly Mammoth items?